A few months ago I did a DNA test, something I had thought about but rejected, because a cousin who did an Ancestry test a few years ago only found that she was 85% European Jew, 6% Italy/Greece and 3% Caucasus. What I wanted to know was – what is a European Jew? Then I got to know two people through this blog who had more interesting experiences. One found that her real father was a family friend, the son of an Odessa Jew mentioned in this blog. The second person used the British test Living DNA as his father was British and his mother was the daughter of Odessa Jews. Living DNA only looks at geography and his results were much more widely spread, from Britain and France to the Aegean and North Turkey. It was intriguing if nothing else. I was interested in a test that might actually find the routes that Jews took from Palestine to Eastern Europe and Russia. So I did the Living DNA test and found that I was 14.2% Eastern European, 29.8% Middle Eastern (17.7 % Levant, 4.3 % Iran, 3.5% North Turkey, 3.3% South Turkey and 1.1 % Northwest Caucasus) and 55.1% Iberian. Everything made sense except the 55% Iberian as I know all of my grandparents had been living in Belarus and northern Ukraine since the 17th or 18th century and if they had lived in Spain they would have left in 1492 and been marrying with other European Jews since then. It was not very plausible. So I turned to the free online website GEDmatch, which is very easy to upload your DNA data to and tried their endless stream of tests. The tests are not that easy to interpret as they all have different geographical categories and there are very few maps of the categories on the website. I did eventually find some good maps for one of the tests and got the idea that the areas were quite large even if the name of the area was a small country like Armenia. Here is the map for East Mediterranean on the test Eurogenes K36. GEDmatch also provided some interesting population spreadsheets which showed the proportion of genetic markers from different areas for people from different countries. For instance, in one test that has a category for Ashkenazi Jews (puntDNAL K15), they are categorised as being about 40% Mediterranean, 22% Caucasian, 20 % North East European, and 10% Southwest Asian (Caucasian, south-west Asian and Mediterranean all encompass parts of the Middle East)., and that is pretty much exactly what I got. I found I was a typical Ashkenazi Jew, but I had more sense of where we had come from. Probably all Jews have a similar genetic mishmash, as they intermarried with other Jews who had come across the Middle East and Europe on many of the various routes. This is also very close to the Sicilian and South Italian result, which might suggest they followed similar routes. I puzzled over why the Sicilians and Jews had similar amounts of North East European, as I thought the Jews had acquired these genes after they left Sicily and went north. But the Caucasians also have 20% North East European, so the Sicilians and Jews, who may both have originated in the Middle East, may have gained North East European genes living on the trade routes of the Caucasus, or from northern invasions. It seems that there may be very little difference between people from Western Asia, the Middle East and the coasts around the Mediterranean and Black Sea as they traded and intermingled over the past few thousand years. Thinking about the number of Jews, even several hundred years BC, in the area of North Turkey and the Caucasus, I wondered if any had moved across the Black Sea into Ukraine. I found an online article about the history of Jews in Ukraine, and it said Jews had moved from Turkey and the Caucasus to Crimea which was also on trade routes from east to west, and later moved up to central Ukraine and Kiev. The original port at Odessa was set up by Greeks and Italians, and Jews from Crimea must have also settled there. These Jews would not have had such a mixed genetic background until they married Jews coming from Europe to Russia. 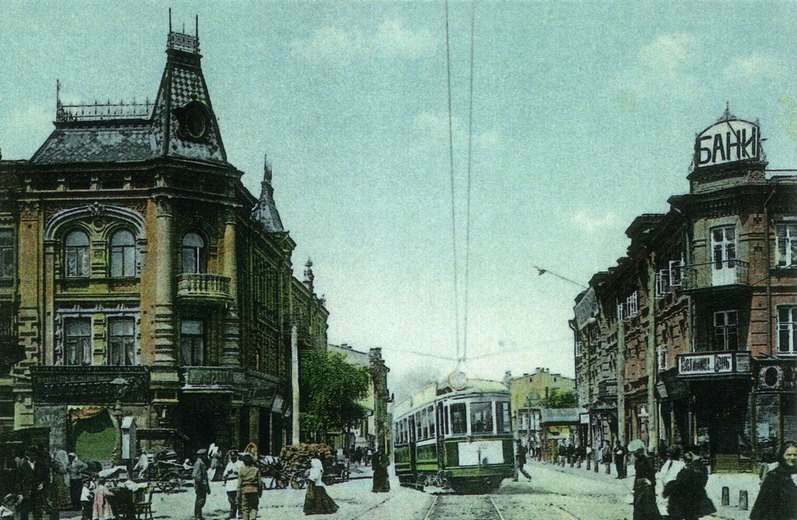 Probably the majority of Jews in Odessa around 1900 had only been there one or two generations and had come from other parts of Ukraine, Moldova and further afield. In the GEDmatch test with the most categories, the Eurogenes K36, my results were East Mediterranean 17.99, Italian 16.8, Iberian 12.4, Armenian 9.65, Near Eastern 6.86, Arabian 5.45, East Balkan 5.16 (Romania/Bulgaria), East Central European 4.97, West Mediterranean 4.12, North African 3.01, West Caucasian 2.87, North Atlantic 1.85, Volga-Ural 1.52, Basque 1.43, North East African .9, East Central Asian .88. My Iberian result may be slightly higher than average for Ashkenazi Jews, but nowhere near 55%. This was much more fun than larger categories as the imagination can roam with so many specific places. Even if they are just educated guesses, and possibly not all that educated. If you combine different areas it adds up to Mediterranean 55.75, Middle East/West Asia 23.74 and Eastern Europe/Russia 13.5, which may be as close to the truth as one can ever get. Even after so many years of DNA tests existing, there seem to be many misconceptions about genetics when you look at the online forums discussing results. So many people think the results are wrong if they do not match the countries they know their grandparents and great grandparents lived in. They do not realise that even if their ancestors lived in the same place for several hundred years, if, like Jews, they have moved over the centuries and married among themselves, they will still have significant amounts of genes from where ever they originated. Nor do they realise the amount of upheaval caused by wars and invasions over the past few thousand years and how many people were displaced or forced to move. In the case of the Jews, it is thought that when they first began their movement out of the Palestine area, they intermarried more with local people, partly because there may not have been many Jews to marry but also because religion may not have been as clearly differentiated as it was later. Later they married more between themselves and there were many marriages of cousins. When I had gained more confidence using GEDmatch, I began to look at the people I matched (mostly third or fourth cousins). You can put the matches through the various tests to see how you compare and also look at the similar sections of genes. But where these families lived and their names, the most interesting aspect, can only be got from the matches themselves. I wrote brief emails to the top few people on the list plus a couple who shared family names with me. There were connections in a couple of cases but even if people were enthusiastic at first, they soon lost interest, possibly because there was no obvious link to their specific family tree. Others were not interested at all. But for me, the most disinterested person was the most interesting. I wanted to trace a few branches of my family further back in time. I asked this one person, who was at the top of my list, if he could tell me a few places where his family had lived and a few names. One of the towns was only 50 miles from where my mother’s family lived. I have found a couple of great great great-grandfathers on the 1806 revision lists of one town. He then gave me three names, one of which was extremely common. So I tried the second, Berkman, in the Jewishgen search and found quite a few in the town he had mentioned, Vishnevo, just south of the Lithuanian border. There was one marriage record where a Berkman had married someone with one of my family names, Rabinovich, unfortunately one of the most common names among Russian Jews. I then found some family trees on Jewishgen of Berkman and Rabinovich families and wrote to the person who had posted the trees asking where the family was from. The answer was Vishnevo and he sent me a document of 130 pages of the ins and outs of intermarriages among several Vishnevo families who all came from the same original ancestor, Beniamin, born in the mid-1600s. It was not until about 1800 that people needed to have last names for the tax censuses and each of Beniamin’s descendants chose a different last name, Davidson, Zussman, Rabinovich and Podberesky. I was amazed that none of the families chose the same name. 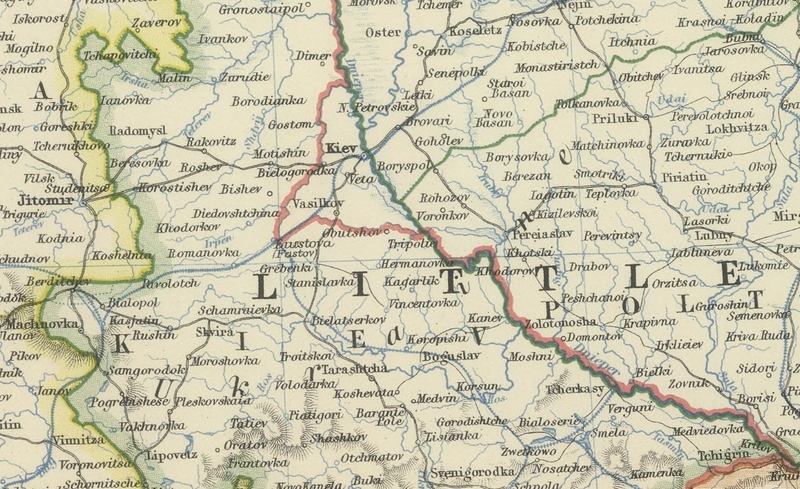 Although I could not find a direct link between my Rabinovich great great-grandfather and those in Vishnevo, not all the family was there and one common name running from the 1700s was Leib, my great grandfather’s name. And there was the genetic link. So possibly sometime before 1806, maybe even in the mid-1700s, my great great great grandfather Michel Nakhman Rabinovich, born in 1770, or his father, Nakhman may have come to the little town of Gorodische, south of Novogrudok, from Vishnevo. Maybe he just wanted to go somewhere else. Or had travelled through and thought it was a nice place. Or had met a nice girl from there. The next two matches I heard from were from Odessa and the Carpathians on the border between Romania and Ukraine. I thought first of the family on my 1812 family tree, my maternal great-grandfather’s, the Tauzners, who were based for several generations in the very north of Ukraine, Lyubeshov, near Pinsk, but whose name is also found in Slovakia and Hungary. But I also thought about my maternal great-grandmother’s family, the Pikers, who only appear in Belarus around 1850. Where were they before? I scrawled through the Jewishgen records for Ukraine and frequently found the Piker name around Kishinev and Czernowitz. When I found, in Kishinev and further north in Moldova, the exact same first names and patronymics (Meer Ber and Meer Hirsh) as were common in my family, I felt I might be getting close. And then I found Pikers moving north in Ukraine, several in Berdichev, Belaya Tserkov and Kiev… and then one family in a village just a few miles from Lyubeshov. According to the census, in 1816 this Piker family had just arrived from Yampol, about 300 km south, east of Lviv. My branch of this family moved to the small town of Gorodische near Novogrudok, west of Minsk, some years after my branch of the Tauzner family had moved there as rabbis. Possibly they were already related from the time when they lived around Lubeshov or before. But it was there, in Gorodische, that my great-great-grandparents married. So the next step was finding the link with these other families from Transcarpathia, Romania and Ukraine. Looking up images of one town where I may have had cousins, Teresva, in the Carpathian mountains just on the border of Romania and Ukraine, I discovered that the famous photographer Roman Vishniac had made many of his pre-Holocaust photographs of Jews in the 1930s in Teresva and surrounding area, so I will end with a few of his photos. I have written about the impressionist painter Leonid Pasternak (Леонид Пастернак), the father of Boris Pasternak, in a previous post about the wealthy Moscow tea merchant, David Wissotzky, who had portraits of himself and his wife painted by Pasternak (https://wordpress.com/post/odessasecrets.wordpress.com/834). His children was also tutored by Boris Pasternak one summer. Boris fell in love with his daughter, Ida, and was inspired to begin writing poetry. There was a teacher called Leon Wissotzky who died in the Odessa pogrom and the Wissotzky’s had offices and warehouses in Odessa, using the port for their tea business. But what I never realised was that the Pasternaks were also from Odessa. 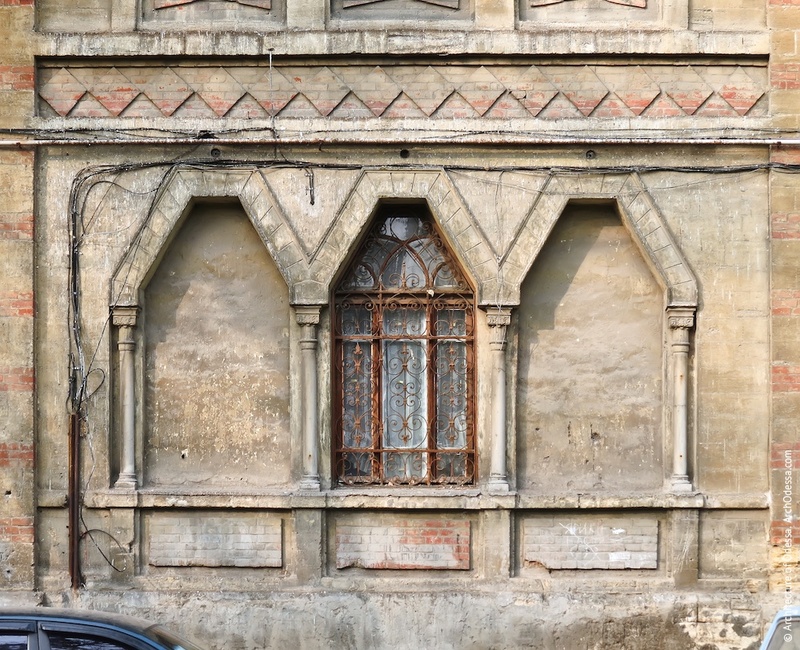 It was only when I was looking up where Isaac Babel had lived in Odessa that the name Pasternak came up as well, as having stayed at Bazarnaya 78 over the years from 1885-1911 (like Jabotinsky and Kataev who had also lived on Bazarnaya), although he was living in Moscow at the time. So where was the artist born and what was his life like growing up in Odessa? From the Russian Wikipedia entry, I found that Leonid (Yitzhok-Leib or Isaac-Leon) had been born in 1862 on Kherson Street 20, now Paster Street 20 (по Херсонской — Пастера улице). This is an area outside the centre near the harbour, between the centre and Moldavanka. Just beyond, along the harbour, is Peresyp, and further inland is Slobodka. According to Wikipedia and many accounts of Pasternak’s childhood, when he was quite small his father rented a courtyard and inn, eight rooms for small landowners coming to market, in central Slobodka near the cathedral and market square. A footnote leads to a very long article on a Russian history website about Peresyp and Slobodka-Romanovka mentioning many Odessan writers and historians and descendants of local people vouching for the Pasternak’s having lived at what was called the inn of Baransky, at 9 (possibly changed to 11) Rozhdestvenskaya near the church and Market Square, and yet to many writers on Odessa it was also called Gruzdyev House (https://www.istmira.com/istnovvr/aura-odesskoj-peresypi-i-slobodki-romanovki-kraeve/page/40/). 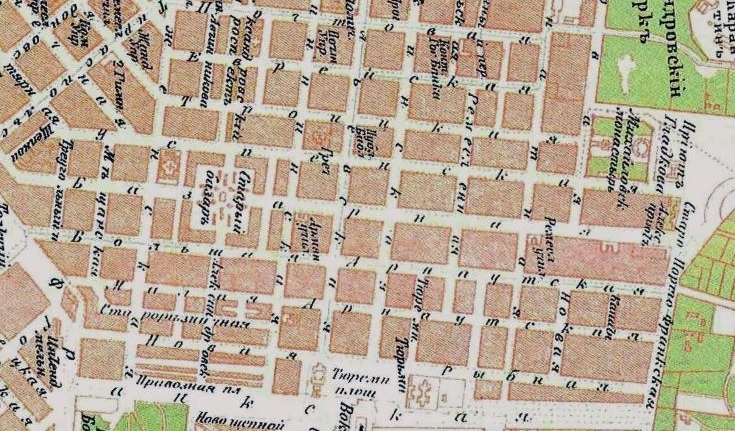 On the 1888 map of Odessa, you can see Slobodka on the bottom with the market square in the centre. The beginning of Kherson Street can be seen across the ravine and railway track at the top of the map. So I tried to find out more about Leonid’s early life in Odessa through his memoir, translated into English in 1982. He describes the bustling courtyard filled with the landowner’s horses and carts, which, as a small child, inspired him to begin drawing. He also describes his first trip outside at night, as a four-year-old, walking with his father to a special bakery on New Year’s Eve to collect a cake for their landlord. 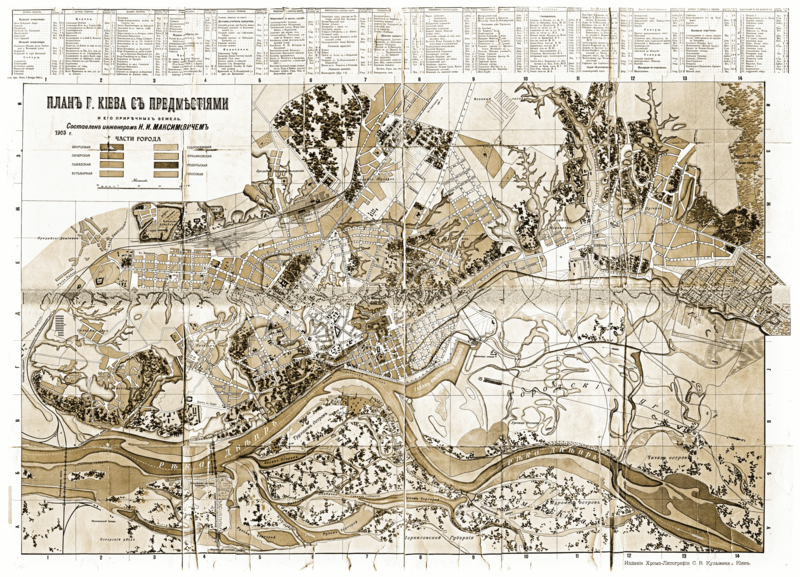 It is this detailed description of his walk to the bakery on Preobrazhenskaya near the City Gardens that makes one begin to doubt that the family lived in Slobodka. Then I came upon another story of his childhood on a website of biographies of famous Odessans. In this short biography, it says that Leonid’s grandfather Isaac came to Odessa from Galicia in the early 1800s and Leonid’s father, Joseph, was born in 1813. 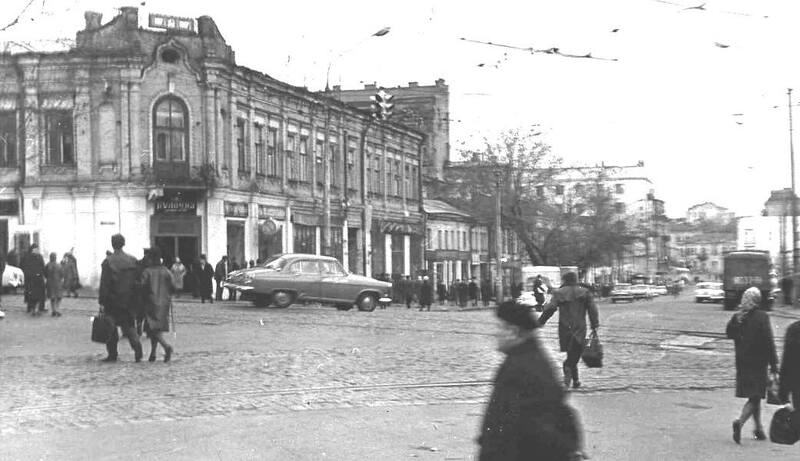 According to this story, Joseph’s inn was near the New Market (Новобазарная) on Koblevskaya between Olgievskaya and Konnaya, just across the ravine north of Slobodka (http://odessa-memory.info/index.php?id=243). New Market is the square towards the bottom left of the map. Then I found a history online of the famous bakery, Duryan’s, where Leonid had gone with his father to buy the special New Year’s cake, for their landlord, Untilov. He quotes from Pasternak about the bakery and describes Pasternak’s early home as being at Koblevskaya 13 on the corner of Olgievskaya, a house which his father rented from Mikhail Untilov until 1873 when he was able to buy the property. This house is near the New Market and a reasonable walk to the bakery on Preobrazhenskaya. It is also at the edge of the city and near the ravine that separates the city from Slobodka-Romanovka. 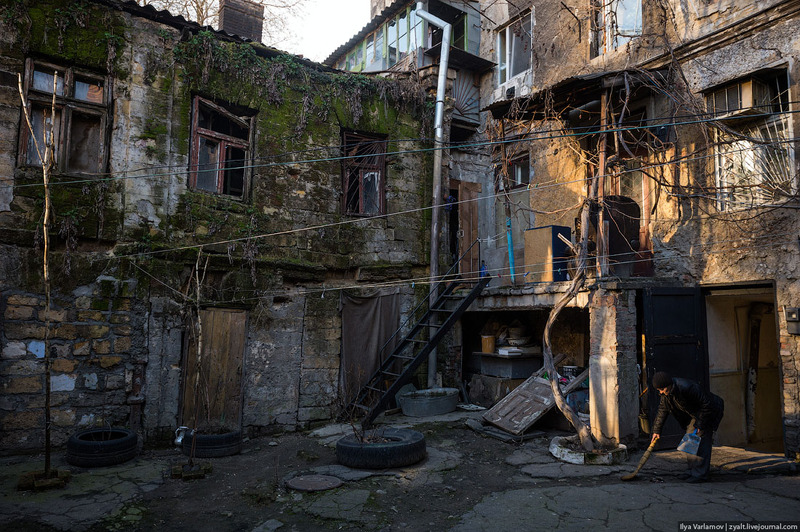 Koblevskaya 13 was destroyed in the war but here is another nearby house with courtyard. I went back to the internet to search again for more about Pasternak’s childhood and found his memoir in Russian which had an extra sentence in the beginning which was not in my English edition. ‘Знаю лишь, что я родился на Старом Базаре, в 1862 году, 22 марта по старому стилю, и когда мальчиком бывал там, т. е. в центре города, то ничего такого старого не находил в нем, что отличало бы его от Нового Базара, куда мы перебрались, когда мне было 2–3 года.’ (I only know that I was born in the Old Bazaar, in 1862, on March 22, in the old style, and when I was a boy there, that is, in the center of the city, I would not find anything so old in it that would distinguish it from the New Bazaar, where we moved when I was 2-3 years old.) 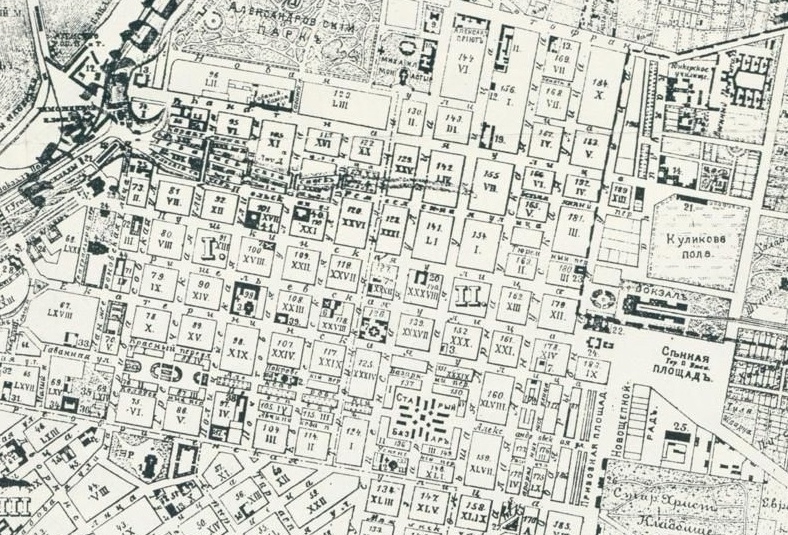 (http://az.lib.ru/p/pasternak_l_o/text_1943_zapisi_raznyh_let.shtml) Old Market is on the previous map towards the top right in the centre of town. So Leonid had lived as a child near the New Market, but also says that he was born near the Old Market in the centre of the city. The only reference I had about where he was born was that it was Kherson St 20, a couple of streets over from Koblevskaya. The original detailed history of Slobodka mentions that the landlord Untilov, a member of the Duma, was listed in the directory as owner of Kherson St 20. Possibly this is where the idea of it being Pasternak’s birthplace came. But the article about the bakery says that Untilov was also the owner of the inn on Koblevskaya, which makes sense as they were buying the cake for their landlord. It seems that no one has actually looked into where Pasternak was born. I’m not sure why or how the story of Pasternak coming from Slobodka came about. It is and was a much poorer working class area and his family seem to have been an up-and-coming family who wanted their children well educated and eventually moved into the city centre. The inn on the edge of town was surely just as good a story as the childhood home of the famous painter. Pasternak’s memoir continues with experiences at his local primary school and then moving on at age 10 to Richelieu High School, the most prestigious high school in Odessa and difficult to get a place in. He then moved to the Odessa State High School in the fifth year where he met a French teacher who was interested in art and introduced him to museums, galleries and exhibitions. Another stroke of luck was that the editor of various illustrated magazines, Mikhail Freudenberg, rented a room in his courtyard, and asked him to do some illustrations for him. In his last year of school, Leonid also began taking classes at the Odessa School of Drawing. When he finished school in 1881, Leonid entered the medical faculty of Moscow University which was the desire of his parents, hoping also to join the School of Painting but found there were no more places. He did not enjoy medicine so transferred to the Law Faculty, but really wanted to study art abroad and discovered that this was easier to do from the Odessa University so he transferred to the Law Faculty in Odessa, where he would be able to spend much of his time at universities and studying art abroad. What interested me so much about Leonid Pasternak’s childhood in Odessa was his ability, from a relatively poor, uneducated Jewish family, to navigate the education system with the help of his incredible talent, study art in Odessa while at school and get a place at Moscow University in medicine, which was the career his parents wanted him to pursue. It presents another picture to the often described difficulties Jews had with education quotas and difficulties living outside the Pale. It is also interesting to look more closely at the description of his family as poor and uneducated, because when his father was a child he was probably brought up speaking Yiddish and going to a traditional Hebrew school so he may not have learnt an educated Russian. Because Odessa was known for its Russian education, even for Jewish children, families that spoke Yiddish or people who had just learnt Russian orally were looked down upon and families rarely admitted to knowing Yiddish. Leonid’s father may have been educated in the old tradition and Yiddish-speaking, but seems to have done quite well in his hotel business, so the family may have entered the middle-class when Leonid was still quite young. Certainly all of Leonid’s paintings of his family life were in very middle-class settings, but he also documented the older Jewish generation and made one trip to Palestine where he drew the people and landscape. Another major part of his work were portraits and he was obviously proud, coming from his background, of getting to know some very famous people like Tolstoy, Rilke and Einstein, but his relationship with Tolstoy was probably the most important to him (he illustrated Resurrection and several scenes from War and Peace) and he was called by Tolstoy’s wife to draw Tolstoy just before he died. In the early 1920s he moved to Berlin with his wife and daughters for health reasons and then stayed, only leaving in 1938 to settle in Oxford where one of his daughters lived. I will end this post with a series of drawings, paintings and a few photographs predominantly relating to his own family, time spent in Odessa, and Jewish life from the late 1880s through the 1920s. Why happy families? Feeling I was having extreme good luck in finding the two family names, Levit and Leviton, both names in the pogrom death records, on ships to America in 1906, and in the US records, I delved deeper and found two families who seem to have had successful professions or businesses, married, had children and generally thrived in the US, one family in Chicago, the other in New York. There was no sign of insane asylums or orphanages. And so, to some extent, they may have been happy families, as happy as any family can be who may have had relations killed in the pogrom and felt forced to flee their home. And possibly, with so little to go on, Tolstoy is correct that ‘All happy families are alike; each unhappy family is unhappy in its own way.’ But I was interested in why these families might have been as happy or successful as they appeared to be. I will begin with the Levitin (Leviton) family who emigrated from Odessa to Chicago. They may have had a young son killed in the pogrom, as Moishe Levitin, in the pogrom records, was 26, and the young Levitons on the ship from Antwerp on 30 June 1906, were all in their 20s. There was an older woman, Golda, 56, and her daughter, Rochiel, 28, a nurse, travelling to Sophia Leviton, Golda’s daughter and Rochiel’s sister at 363 W. North Street, Chicago. With them was Motel, 19, a student, and Gerschon, 24, a dentist, nephews of Golda who were travelling to their brother, Jacob Leviton who lived at the same address. 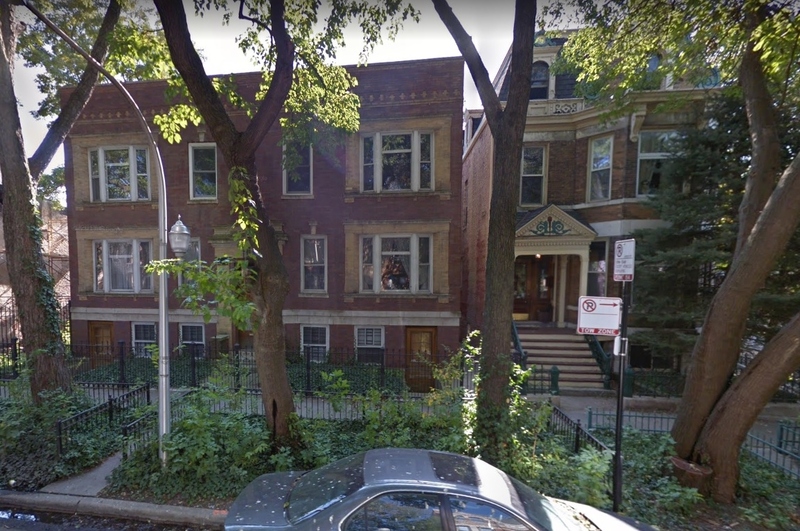 Later I found Sara Leviton, 20, travelling to America in 1904, to her uncle, David Leviton, who also lived at 363 W. North Street in central Chicago and had emigrated to America in 1893. I also found that the two brothers, Motel and Gershon, were the sons of Isaac Leviton, who was travelling with his wife on the same ship with them and Golda although listed on a separate page. Golda’s husband, Aaron, came later. I first looked up Jacob Leviton, as he was already settled in Chicago. When I started this search I thought that all the young people on the list were the children of Golda and Aaron which led to endless confusions, especially as each of these Leviton families had a Harry or Jacob or David or Morris. And most of the girls had married a Harry or Jacob. 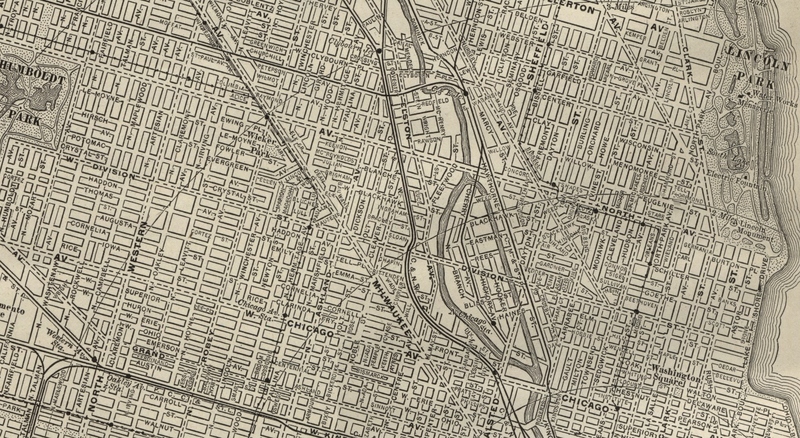 I found that this particular Jacob, who was Jacob Isaac, had only arrived that same year, 1906, and by 1910 was married with two small children, living in an area of West Chicago called Wicker Park, an immigrant area of narrow three-storey houses and tree-lined streets reminiscent of many streets in Odessa. 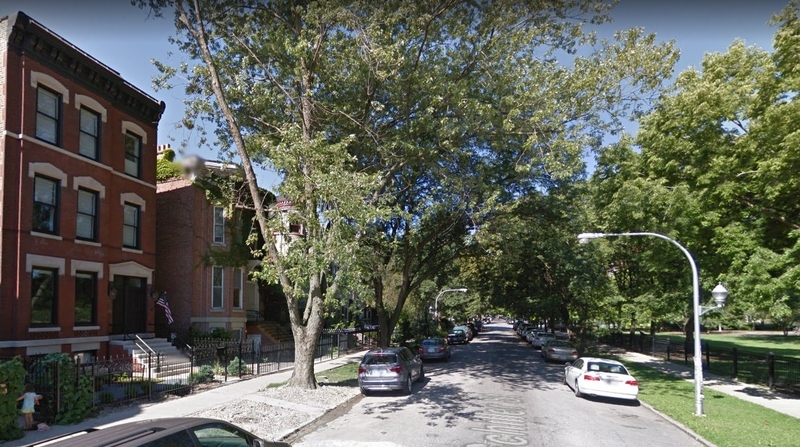 During the 1910s and 1920s, most of the enormous extended Leviton family, the brothers David, Isaac and Aaron and their many children, were living around the area of Wicker Park. The older generation of Levitons were businessman, Odessa merchants, but many of their children took up professions – doctors, pharmacists, dentists and an architect. There were two other extended Odessa families in Chicago, related to the Leviton family by marriage, the Schoenbrods and the Mesirovs, Golda’s family. 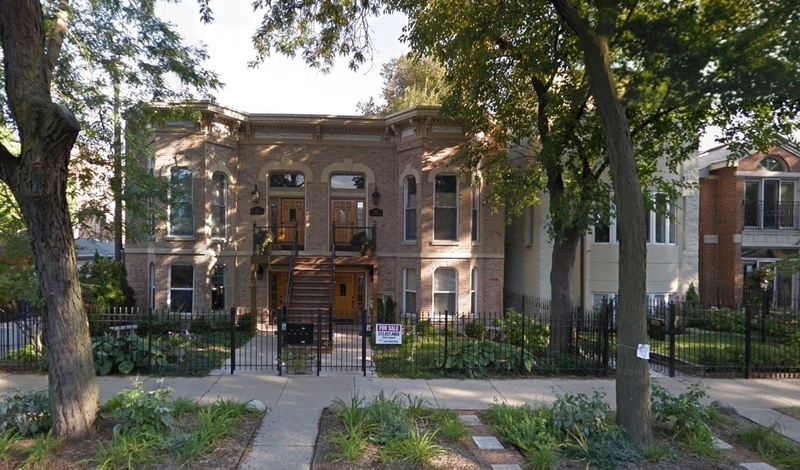 There were also Schoenbrods married to Mesirovs, and often the families lived within one or two houses of each other, on various streets around Wicker Park – Fowler St, Evergreen Ave, Potomac Ave, Le Moyne Ave, Milwaukee Ave, Hoyne Ave and Wicker Park Ave, where Golda was living when she died in 1915. 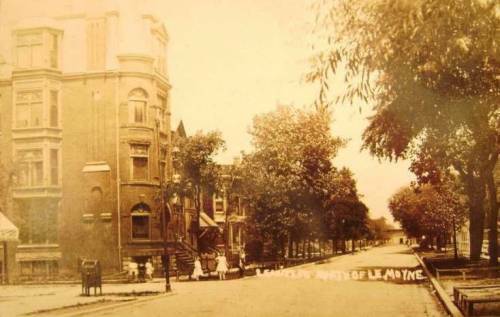 Potomac Ave, Wicker Park, the Schoenbrod house in 1900; Jacob Leviton lived on this street in 1910; his father Isaac and the rest of his family lived around the corner on Evergreen Ave. It was this closeness which made me feel that this was a happy family. The families of Aaron and Isaac, one of whom probably lost a son in the Odessa pogrom, were the only two families arriving as late as 1906. David and his family settled in Chicago in 1893 and there was a Morris Leviton who came in 1892. The records for Chicago, particularly the birth records that list the mother’s maiden name, made it possible to discover the married names of the Leviton daughters. Rochiel became Rose Mesirov, marrying a relation, an insurance salesman. She had two sons and lived in the same area as the rest of the family, gradually moving further out from the centre. She died at age 59 in 1939. Her husband died a year earlier. Neither of the two sons, Abner and Raymond, are listed in the 1940 census. They would have been 27 and 28 years old when their mother died. They both married, had children and lived long lives. Sarah married Abraham Kaminsky, a teamster, and lived some distance away in South Chicago. She had 5 children, plus one stillbirth. She died in 1928, age 45. Abraham brought up the children alone until he died, aged 55, about 10 years later. Abraham appears on the 1930 census with his children but none of them appear in the 1940 census, which may have been shortly after he died. The eldest, Fanny, never married, possibly because she became the mother of the other children. There are no definite records for two of the others, Vivian and Robert. Goldie married and had one son. Sophia Leviton, the daughter Golda listed on the ship’s manifest, came to Chicago in 1905 and married Harry Welcher, a cigar manufacturer and they settled near Wicker Park on Le Moyne St. Harry had a prosperous enough business that in 1918 he applied for a passport to travel to Japan, China and the Philippines. 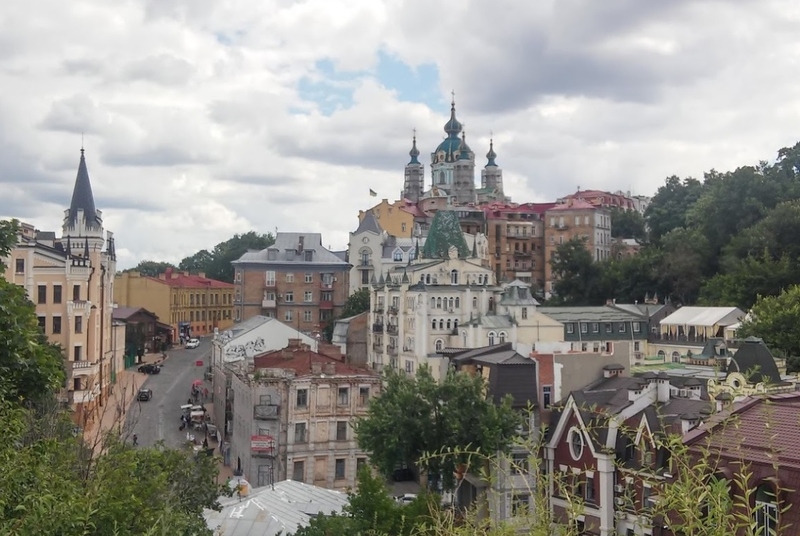 On his application he said he was born in Pereyaslav (now Pereyaslav-Khmelnytsky), an old city south of Kiev, perched high above a tributary of the Dnieper River, where many of the Levitons, Schoenbrods and Mesirows were from. 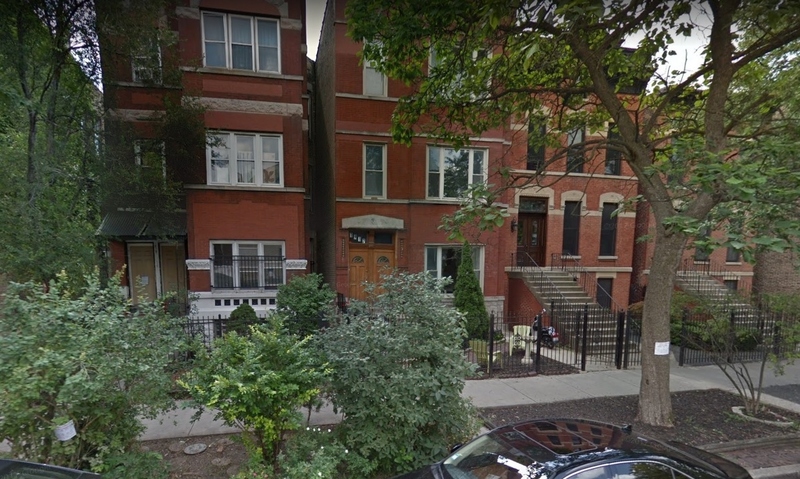 Another Welcher living near Wicker Park, Joseph, listed his district of birth on one of the censuses as Poltava, the district of Pereyaslav , and he was also married to a Sophie from Odessa. Sophie and Harry had two children, one of whom died at birth. On the 1930 census, Sophie was already a widow, her husband having died the year before, 1929, at age 54. She was living with her 20-year-old daughter, Alice, and her single brother, Jacob, 52, who emigrated in 1912. So this was Jacob Aaron, the son of Golda. Jacob was a salesman for a cigar company and I thought of Sophie’s husband. The only other record I found for Jacob was a 1930 naturalisation form where he lists his sister, Sophie’s, address in North Chicago. Later I searched again on the Ellis Island website, using the full name Jacob Levitin (as it was usually spelt on the manifests) and therefore not bothering to narrow the search with the town, Odessa. This time I found another manifest, which only listed Russia for last residence, for Jacob and his parents, Golda and Aaron, travelling with Mesirov relations in 1911. Becoming more creative with spelling, I also found Aaron travelling to New York with his son Jankel (Jacob), 35, in 1908, shortly after Golda . Jacob is described as married, although he is listed as single on the 1930 census. At some point Golda and her husband had returned to Odessa and were now going back to Chicago with their son Jacob and more of Golda’s family, the Mesirows. I will continue the story of Jacob and the Levitons returning to Odessa as it finally shows a picture of these interrelated families before they came to America. Sophie died in 1941, age 66, and her daughter, who married and moved to California, died two years later, in 1943. There is a Jacob Leviton who died in California, in 1932, age 55, about the correct age, but it is not an uncommon name. Alice married Robert Simonoff in 1939 in Los Angeles and had a daughter Harriet in 1940. Alice died in 1943. Robert remarried and died in 1995. 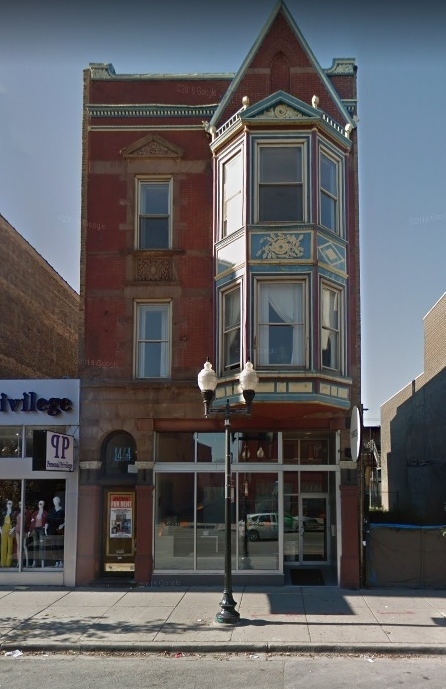 When I realised that the two brothers on the 1906 ship from Odessa were the sons of Isaac, it became clear that Gershon, the 24-year-old dentist, became George, who in 1910 was married, working as a dental technician and living near Wicker Park on a main street, Milwaukee Avenue. He was the one brother who left Chicago and became a businessman in Indiana and later California. He and his wife lost two children while they were in Chicago, one Bella at just over one year old. They had two more daughters in Indiana. Motel was a student at 19, so might have been studying for a profession. There is a Morton Isaac Levitan, an architect born in 1889, who emigrated in 1906. I finally found the Isaac Leviton family on a 1910 census (the last name had not been understood properly) with all the family and their emigration dates. The parents had arrived in 1906 with the youngest son Morton, although he was listed (Motel) with his aunt, Golda. Max, with no profession listed, and Henry, a doctor, had arrived in 1904 and the eldest brother, Harry, a cigar maker, had arrived in 1905. The father was working in real estate. Morton became an architect but does not appear in the records except for his naturalisation form and his World War I registration, where he states that he is an architect and is living at the family home. Max became a doctor, like his brother Henry. He married Anna Livshis in 1912 and in 1920 he and Anna were living with her parents and their two children, Lawrence and Alice. Anna died in 1930 when their children were 15 and 12. None of the family is on the 1930 census. In 1940, their son Lawrence, 25, is working as a resident physician at a maternity hospital. I found a 2003 obituary for him. He was an Army medic during the war and then became a paediatrician, moving to Florida in the 1950s. He was particularly interested in child mental health. His sister, Alice, became a librarian and never married, but I found her, in 1946, aged 28, on a ship back from France. I wondered why she might have been by herself in France right after the war, and somehow the word Nuremberg came into my mind. I seem to have decided this family did not always take the easy route. I studied the manifest more closely. At the top of the document it said ‘War Department Civilians – American Red Cross, so my instinct was correct and she was doing war work. The Levitons were the first family I have investigated where many of the younger generation went into professions, either in Odessa or later in America. Most seemed to have no problem picking up with their education, training or finding jobs. 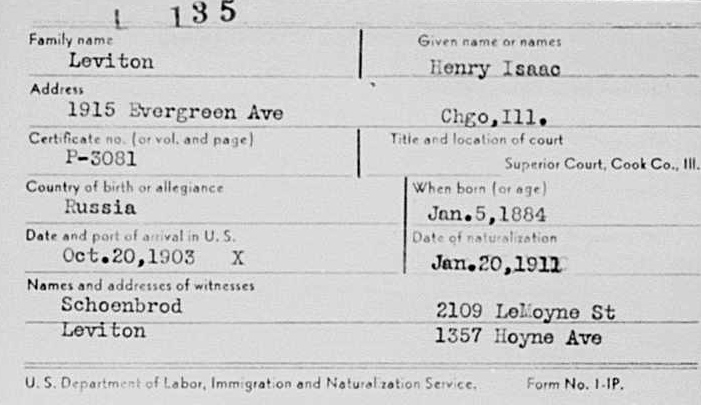 In Isaac’s family, who had only arrived in America between 1904 and 1906, there were two doctors, a dentist, an architect and a lawyer among the many sons. An older son Philip first became a bookkeeper and then studied law. Another son, Harry, became a millinery manufacturer, and Jacob was an insurance salesman. David Leviton, also from Odessa, who had arrived first in Chicago in 1893, had three sons, a doctor and two pharmacists. Two of David’s sons, the pharmacists, Samuel and John, worked together and lived in the same building. Although the Leviton family were all living in Odessa, many put their town of birth as Kiev or Pereyaslav, as had Harry Welcher. Possibly this large extended family had such resilience because they stayed together, worked together and helped each other, both through their professions and other ways. All of their naturalisation forms were signed by a brother and a lawyer in the family, Nathan Schoenbrod. There were quite a few early deaths in the family of husbands, wives and infants. When there was only one spouse, he or she seems to have been able to keep the family together and look after the children. Sarah Kaminsky died at 45, Abraham Kaminsky at 55, Martin Leviton at 46, Harry Leviton at 56, Jacob Leviton possibly at 55, Alice Welcher at 32, Harry Welcher at 54, Rose Mesirow at 59, and Henry Leviton, at 55. Interestingly, it was the two families who arrived after the pogrom, the children of Isaac and Aaron, whose children most often died in their 40s or 50s. David, who possibly came out of choice rather than from necessity or fear, and whose children were younger when they came, mostly lived into their 70s and 80s and one of the daughters lived to over 90. Moishe, who died in the pogrom, age 26, born in 1879, was probably the son of Isaac or Aaron, who emigrated after the pogrom, and as Isaac was the younger and had seven sons born in the 1880s, Moishe was most likely the son of Aaron, who only seems to have had one son, Jacob, born in 1875 or 1877, a few years before Moishe. Just as I was finishing this post, I made one more search for Jacob on Google and discovered a family tree of the Aaron Leviton family and a new branch of the family. This family tree included Aaron and Goldie, Rose Mesirow, Sophie Welcher and another sister, Shifra Pines (age 39, born 1868), who came to Chicago in 1907 with her four teenage children to meet her husband Jacob who was staying with the Harry Welcher. In 1910 the Pines family was living on Evergreen Avenue next to Isaac Leviton and the sons were working in cigar making like the Welchers. Another example of this tightknit family. The Pines were from Ekaterinoslav, which is south of Pereyaslav and near to where Aaron was born at Bassan. Shifra, the eldest in the family, was born at Ekaterinoslav, possibly where the Levitons originally lived, before they moved to Pereyaslav, Kiev and then Odessa, and she either remained there or returned when she married. Jacob Aaron does not appear on this Leviton family tree; nor does Moishe. In the next post, I will look a little closer at Jacob’s life, as for some reason he returned to Odessa and, unlike the rest of the family, lived in New York for some years, although he never seemed to have settled down. Slowly working alphabetically, backwards, through the death records, I had reached M, which I put into the Steve Morse Ellis Island search, with the residence Odessa and the years 1905-1908. I could then look through names whose spelling seemed similar to a name on the list, and also look out for children travelling alone, or mothers with many young children who might be travelling to meet their husband or might be widows joining another relation in America. One of these mothers was 30-year-old Feige Mesonschnik (Mesonzhnik or Месонщник) with four children under 5 – Simoche 5, Momzi 4, Moische 2 and Chaim 1 – travelling from Rotterdam on 19 June 1906. 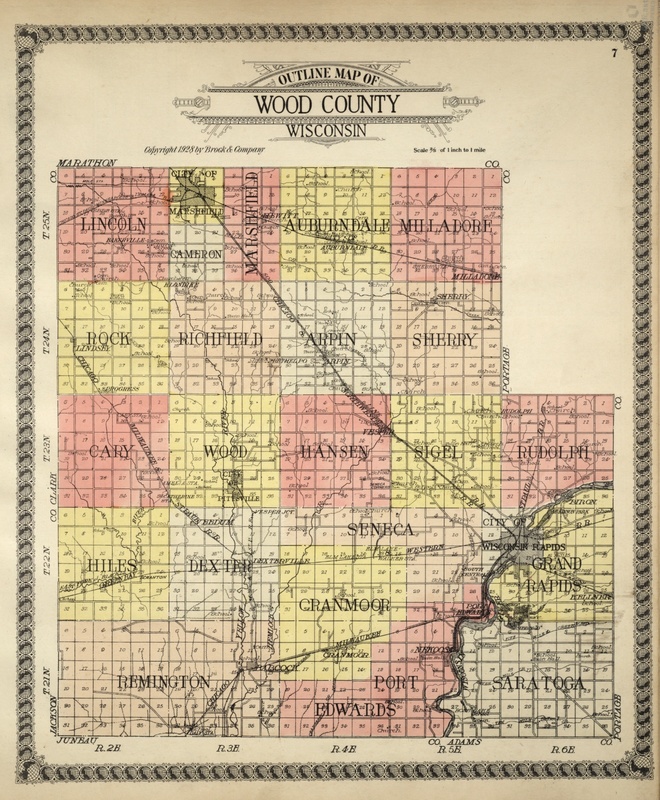 She was travelling to her husband, and I would not have continued researching this family except that I was intrigued by where they were going – an isolated settlement called Arpin, Wisconsin. And her husband had changed his name to Finkelstein. J.W. Finkelstein. How did a family from Odessa come to be travelling to Arpin, Wisconsin? Were they joining relations called Finkelstein? 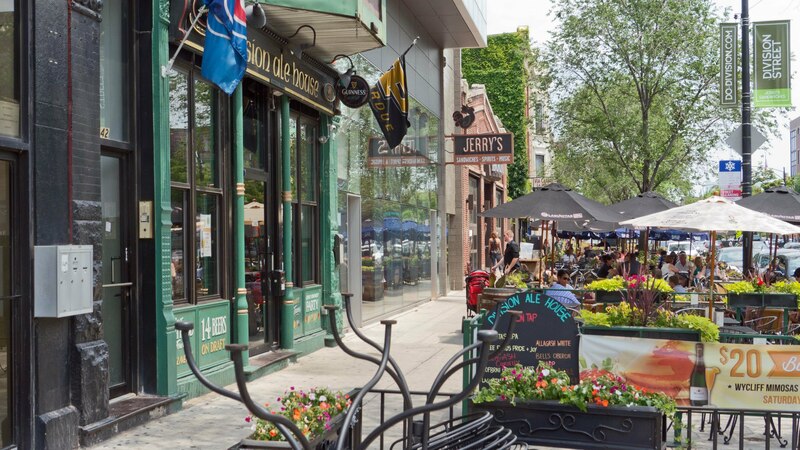 When I first began to research this family, I could only find a Jacob and Fanny Finkelstein of the correct age with three children of similar ages and names, Celia, Morris and Hyman, living in Milwaukee, Wisconsin, in 1910. The second child must have died and the middle child, Morris, seems to have taken the age of his older brother, being 8 instead of 6. Hyman, who must have been born around the time of the pogrom, is 5. On the 1910 census, there are spaces for the number of children born and the number alive. Every family on the page has listed how many children they had had except the Finkelsteins who left the spaces blank. Possibly their son had recently died. In the next census, Celia is working in a department store, Morris is studying medicine, and Hyman is working at a bookbinders. On the 1930 census, only Hyman, 25, is living at home with his parents and is working as a barber. In 1940, the parents are living alone although they put the absent Hyman, 35, as still living in their home. 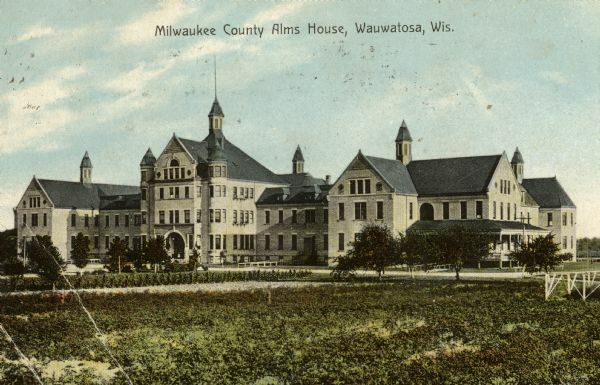 He appears on the census at the Milwaukee County Asylum and all the inmates on this page have been in the asylum for the past five years. Although the censuses have different immigration dates on each one, 1905/6 in 1910 and 1907/9 in 1920, Jacob had gone to America a year or so before the rest of the family, so I tried to find him on the Ellis Island website and eventually found a Jankiel Mesaznik, age 30, an Odessa tailor, travelling from Trieste in October 1904. He was travelling with a friend from Odessa to the friend’s sister in Hoboken, New Jersey. Nine months after he left Odessa, his wife had Chaim (Hyman), in the summer of 1905, and she and the children left a year later for America. In the meantime, Jacob had gone to Wisconsin. 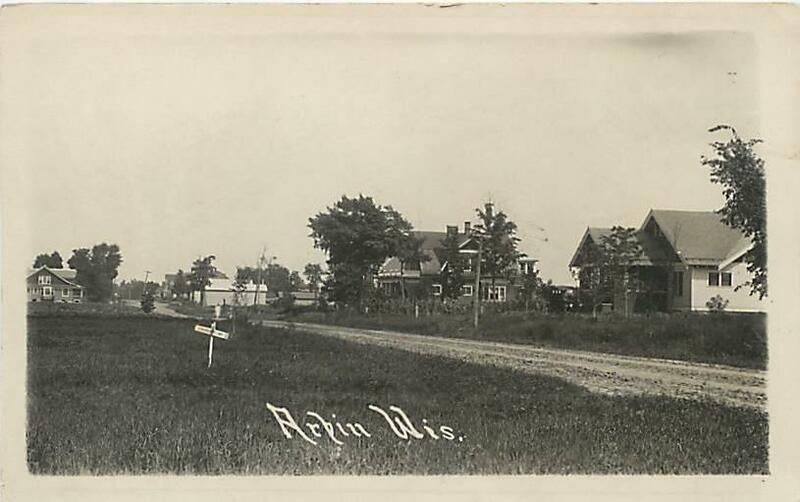 It was not until the second time I tried searching for the family that I discovered that Arpin had been a logging settlement on the new railway through Wisconsin in the late 1800s. Once the logging work was finished and the company moved on, there was an empty group of houses, shop and school. The New York Industrial Removal Office was trying to relocate Jewish immigrants outside New York City and Milwaukee was one of its first bases in the west. A rich German Jewish merchant and philanthropist, Adolph Rich, bought 700 acres north of Arpin, in the hopes of setting up a Jewish agricultural colony, which might become a magnet for Jewish immigrants in the west, a homeland for the Jews. In 1904, Rich arranged for 5 families, and then another two, to occupy the empty houses of Arpin, and begin to work 40 acres of land each. By 1906 the families were working 10 acres of land each. 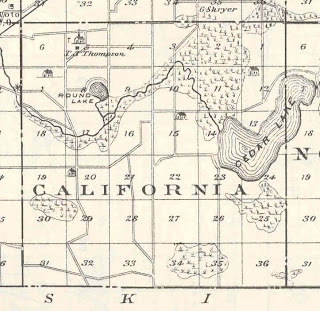 In an article by Louis Swichkow, The Jewish agricultural colony of Arpin, Wisconsin, Jacob Finkelstein is mentioned as one of the first group of seven families – Manny, Zefania and Jacob Cohen, Louis and Gedalia Smoller, Jacob Finkelstein, I. Classel, Samuel Pittelman, Sholem Antonovsky, and J. Weinberg. 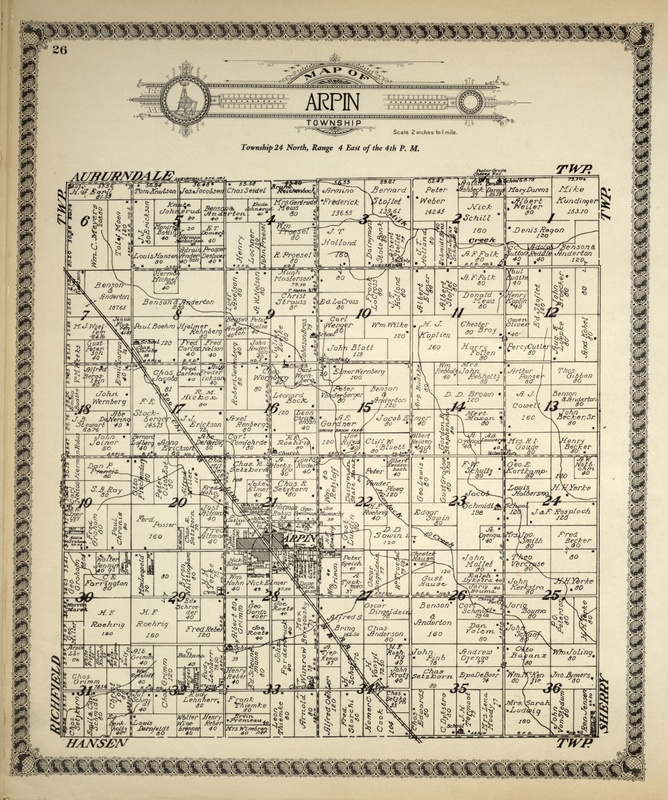 The map below from 1928 shows all the owners of the lands around Arpin but none of the above. Most look German with some Scandinavian but there are none that look Russian and only one that is most likely Jewish, Jacobs. Actually Jacob first appeared in the Wisconsin records in the 1905 census when he was boarding with a farming family in Saratoga, Wisconsin, next to another farmer called Sam Finkelstein, a widower with four children, who had immigrated to America in the early 1880s from Russia. 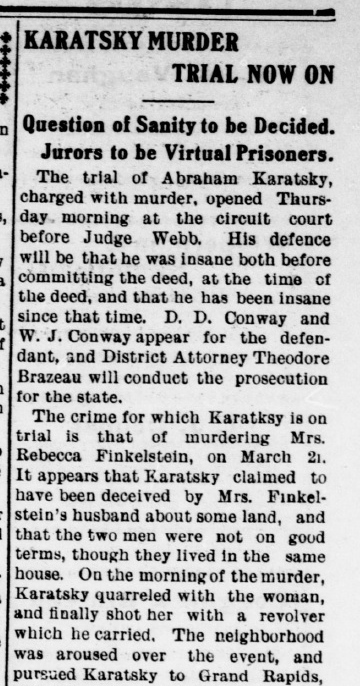 I eventually came upon a newspaper headline about the murder of Sam Finkelstein’s wife Ida (called Rebecca in the article) in March 1905 by a Russian lodger in their house who felt he had been cheated by Sam into buying land that was not as it has been described to him. Sam, who, according to the newspaper, had previously been living at Arpin, had worked for a real estate agent in Chicago selling land to Jewish settlers, so possibly was setting up a similar type of colony at Saratoga. The lodger tried to plead insanity but was given life in prison. The trial was written up in great detail including a list of the jurors as if trial by jury was new in these western territories. Sam, also known as Simon, married again in 1906 to a woman from Arpin, Sarah Robinowich, and possibly joined her in Arpin along with Jacob Finkelstein. Sam, who had come to America in 1885 when he was 17, had previously been married to a Russian woman called Mary Quater and they had had 6 children in Chicago and Indiana. On the 1900 census, Sam was living with Ida in California Township, Starke County, Indiana, close to Chicago, and had had a seventh child, Samuel. One wonders whether Sam came to America with family, with a group of Russian colonists, or whether he was a lone pioneer. The only discrepancy on the census is that although it says Ida has had one child, it also says that Sam and Ida have been married for 18 years. By 1905 they had a second child Morris. 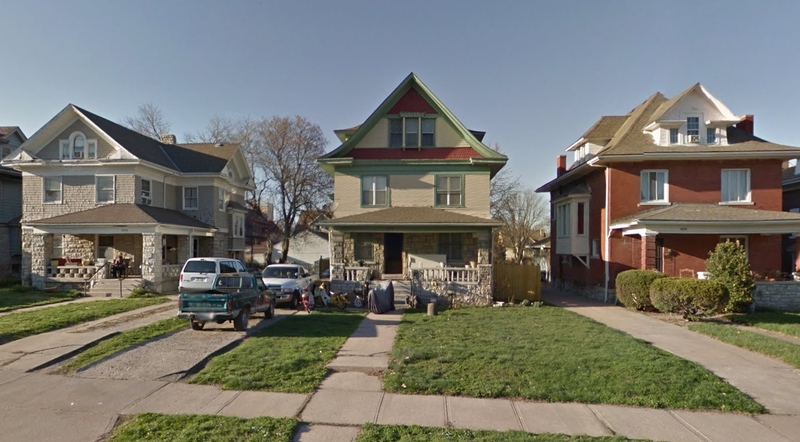 Sam next appears on the 1910 census as Simon with his wife Sarah in Milwaukee. They are living with the two youngest children, Simon (Sam) and Morris , who are 10 and 8. Both Simon and Sarah say they have been married once before, and Sarah apparently had two children no longer alive. She does not appear on the 1905 census so possibly had not been in America for long. She may have had as tragic a story as Simon. Simon and Sarah do not appear on the 1920 census but in 1930 they are living together without any children. There are marriage records for Simon’s oldest son, Barney, who moved out to Portland, Oregon, and also his daughter Sadie, who, having been widowed, married again in Los Angeles in 1948. She died in California in 1956. On a Wisconsin Jewish burial database there is a Sam and a Samuel Finkelstein, one who died in 1917 and one in 1923. Possibly one of these is Simon and Ida’s son. On the 1940 census, Simon is 80 and in a chronic diseases hospital in Milwaukee on the same site as the asylum Hyman was in. Simon is a widow and has been there over five years. He died that year and is the only one in the story I found a gravestone for. It is hard to know what the man who was widowed three times and had at least eight children and may have deceived the man who killed his wife, was like, but at least one of his children probably remembered him with a marble gravestone. There seems to be no trace of Mary Quater, Ida Silberg, or Sarah Robinowich. Once Jacob was settled in the Arpin colony, he must have sent for his wife from Odessa. 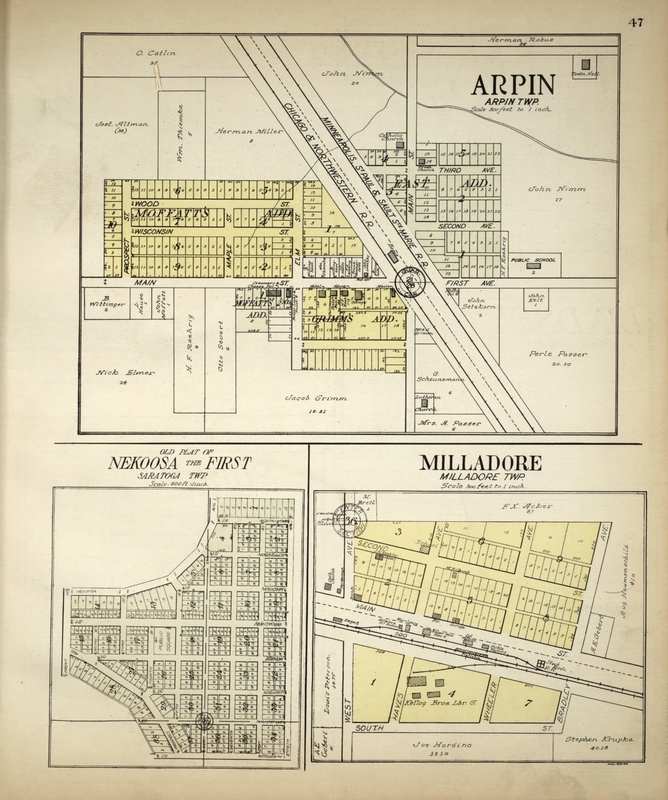 They did not remain long in Arpin as by 1910 they were living in Milwaukee. Several families left Arpin, although a core remained until the 1920s. As there was no secondary school in the area, several families drifted to cities for their children’s education. 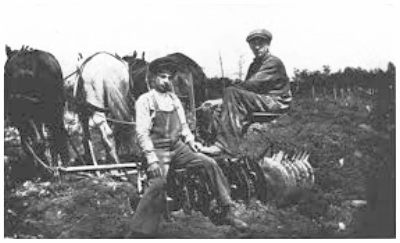 Both Jacob and Simon were farmers in Saratoga, and in Milwaukee they both did manual jobs of different kinds. Jacob was a machine hand, a labourer for a cement block company, a fish peddler, and both men were watchman at one point, one for a scrapyard and one for a tannery. 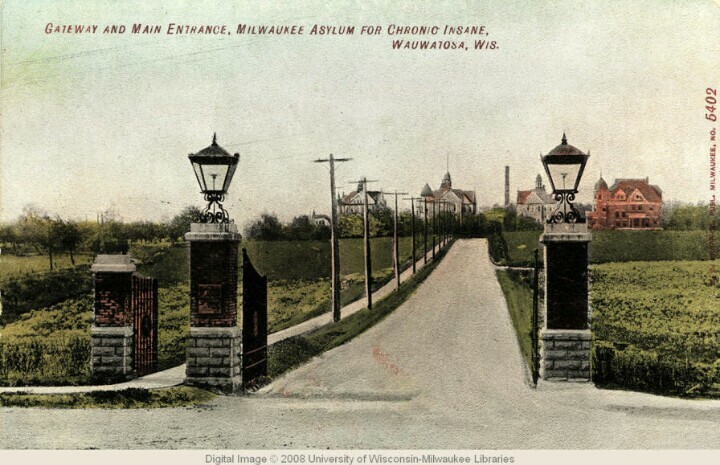 Jacob and Fanny lost one of their children and then, sometime after 1930, Hyman was admitted to the Milwaukee County Asylum, in Wauwatosa, just west of Milwaukee. Conditions were probably quite basic in asylums in the 1930s, and there were bound to be unpleasant and difficult experiences, so no parent would want their child admitted unless they could not cope with them at home. Several children born around the time of the Odessa pogrom found themselves with a similar fate. One might have thought it would have been the 2 or 3-year-old who suffered most during that period, but it was the babies or even those born just after the pogrom whose mothers were in such difficult situations they could not give them the attention they needed in those first months and years. Feige was alone in Odessa with four small children aged from a few months to 4 years old in the midst of the pogrom and then preparing to travel to Wisconsin – across Europe, across the Atlantic and then across America. And when she arrived, she would have found herself in the middle of nowhere, Arpin, Wisconsin, alone in a flat empty land, with a handful of other, probably older, Jewish families. Possibly I stuck with this story because my grandmother also had a child in 1905 just before they emigrated from Russia, who drowned when he was 23, his life and the cause of his death remaining a mystery. The only record I found at first for Jacob and Fanny’s other two children was a Chicago birth record for Morris’ son Samuel, born in 1924, when Morris was 22. His wife was Minnie Perlman, and strangely there were a couple of other Morris Finkelsteins, born at different times, married to women with variations on the name Minnie Perlman having children in Chicago at that time. But this Morris was born in Odessa in 1902. Morris had been studying medicine when he was 18 but no more records appear for him so he may have done something completely different or possibly died young. One Russian Jewish Minnie Perlman of the right age that I found in the records as a child in Chicago belonged to a family of travelling actors which was unusual. I had not looked for Morris’ sister, Celia, because without marriage records it is difficult to trace women, but as she also moved to Chicago, her maiden name appears in the birth records of her children, and she had become Celia Sachs. Her husband, Abraham, was 10 years older and had come to Chicago as a baby around 1890. 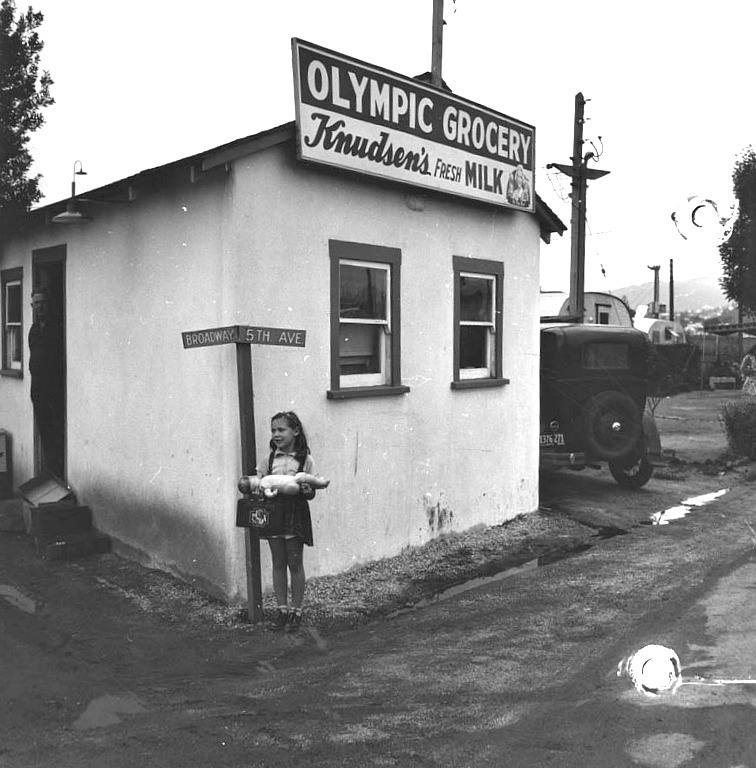 He had first worked selling shoes and later had a sporting goods shop followed by a furniture repair shop. They had three children. Abraham lived until 1980, 90 years old, and Celia until 1991 when she was 91. 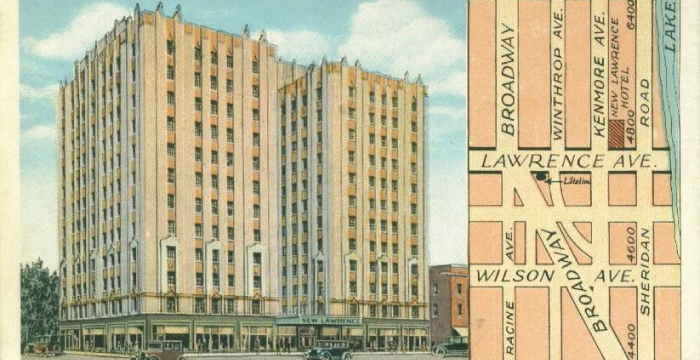 At some point they had retired to 1020 W. Laurence Avenue in uptown Chicago, an art deco apartment block which had been built in the 1920s as luxury hotel apartments with a swimming pool, a long way for Celia from 1905 Odessa and her parents’ new start in the Wisconsin wilderness. How much Celia, who was 5 when she left Russia, remembered the name Mesonzhnik, her early childhood in Odessa and the trip to America, the death of one brother and the background to Hyman’s move to the asylum, and whether she passed any of it on to her children… and if she did, whether they kept it to themselves…. who knows? 18 сентября около 10 часов вечера Хаим Вейцман проходил в районе улиц Малой Арнаутской и Белинского. На улице было много людей, возле дверей двух магазинов стояли охранники. Тут же стояла группа молодых людей, которые по дальнейшим показаниям свидетелей происшедшего, часто тусуются на этом месте. Один из них подошел к Хаиму сзади и со словами «Не люблю жидов!» нанес удар по голове. Сколько человек его избивали, Хаим не помнит. Но происходило это все не в темной подворотне, а на людной улице, совершенно безнаказанно. Хулиганы не испугались ни свидетелей, ни того, что кто-то заступится. Милицию Хаим вызвал сам. Представители закона не рвались выяснять обстоятельства происшествия, хотя один из свидетелей даже назвал имя хулигана – Виталик. В Приморском отделении милиции Хаима, окровавленного, с рассеченной губой и сотрясением мозга, продержали сорок минут, не очень-то желая принять заявление. «Вот если бы ему что-то сломали…» – был аргумент дежурного милиционера. On September 18, at about 10 pm, Chaim Weitzmann was passing through the area of ​​Malaya Arnautskaya and Belinskogo. On the street there were many people, and there were guards near the doors of two shops. There was also a group of young people who, according to further testimony of witnesses to the incident, often hang out there. One of them approached Chaim from behind and struck his head, with the words “I do not like Jews!”. Chaim does not remember how many people beat him, But it all happened not in a dark gateway, but in a crowded street, absolutely with impunity. Hooligans were not afraid of any witnesses, nor that someone might intercede. He called the police himself. Representatives of the law did not dare to find out the circumstances of the incident, although one of the witnesses even knew the first name of the hooligan – Vitalik. At the Primorski police station, Chaim, bloodied, with a split lip and concussion, was held for forty minutes, not really wishing to make a statement. “Now if he had broken something…” was the argument of the policeman on duty. The article continues about anti-Semitism in Odessa in general, beginning with the observation that ‘Just among the staff and visitors of Migdal over the past two years, five people have been beaten with a certain severity of consequences. In none of the cases have the perpetrators been punished.’ Interestingly, Migdal, the Jewish community centre, is also on Malaya Arnautskaya, towards the middle of the street at 46a, in what was once a beautiful old synagogue from 1909. 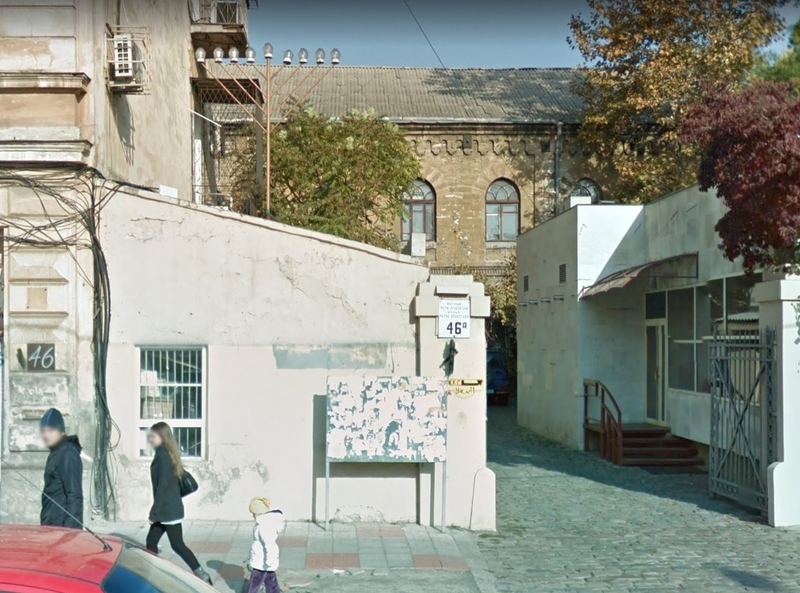 It was not easy finding Migdal on Malaya Arnautskaya as the facade of the old synagogue faces the street around the corner, and the entrance to 46a is simply a gate in a wall with the number, quite a secret entrance. The authors of the article then link current anti-Semitic incidents in Ukraine and Russia to the 1905 pogrom – ‘The last pogrom in Odessa was in 1905. With the full connivance of the city authorities. But we can name a long list of worthy Odessa citizens who have defended their fellow citizens. And even during the days of occupation, the Odessites, risking their lives and the lives of their loved ones, saved the Jews.’ They go on to say that young people today do not really know Jews in the way that people did before World War II, when Odessa was truly a multicultural city. She served at the house of a rich Jewish family of Veitzman-Varshavsky and became a witness of a cruel massacre…Soldiers sent by the local authorities to prevent crimes, in fact marked the beginning of the drama using fire-arms against the Jews. 6 out of 9 members of the family were killed. Rosa were wounded three times but survived after two months of treatment. Her witnesses, medicine card, materials of cross-examinations and protocols of court meetings let us reconstruct the events in details. One of the Weitzman victims in the pogrom was Chaim-Chaikel, a 35-year-old and possibly the father of the youngest Weitzman, 13-year-old Naum. It is an eerie coincidence that, in 2006, just one hundred years from the 1905 pogrom, another Chaim Weitzman was attacked by a nationalist, and ironic that no-one saw the connection. 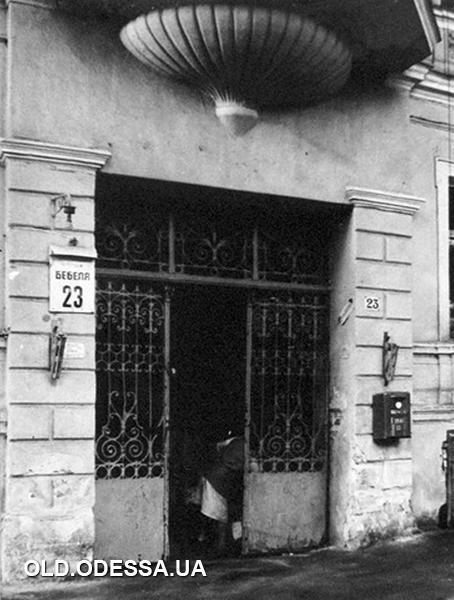 Although the Weitzman-Varshavsky family affected by the pogrom lived in the suburb of Slobodka Romanovka, one Varshavsky family owned a house on Malaya Arnautskaya, Nebe house, number 111, at the end of the street nearer Moldavanka. A Weitzman family owned a house a couple of streets away from Malaya Arnautskaya on Pushkinskaya at 59. 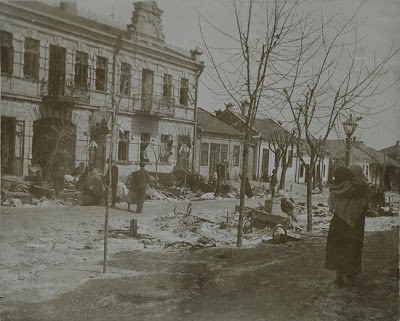 Although the pogrom reports focus on the areas worst affected by the pogrom, Moldavanka and other working class suburbs, the hooligans and right-wing marches went through the centre of the city. In the newspapers and the reports, there were stories of violence and looting in the centre at Pushkinskaya and Uspenskaya, a murder at the corner of Kanatnaya and Uspenskaya, pillaging at the corner of Ekaterinenskaya and Evreiskaya, and incidents at Preobrazhenskaya, Politseiskaya, and Pushkinskaya between Novorybnaya and Malaya Arnautskaya. This would have been near the centre of Malaya Arnautskaya. 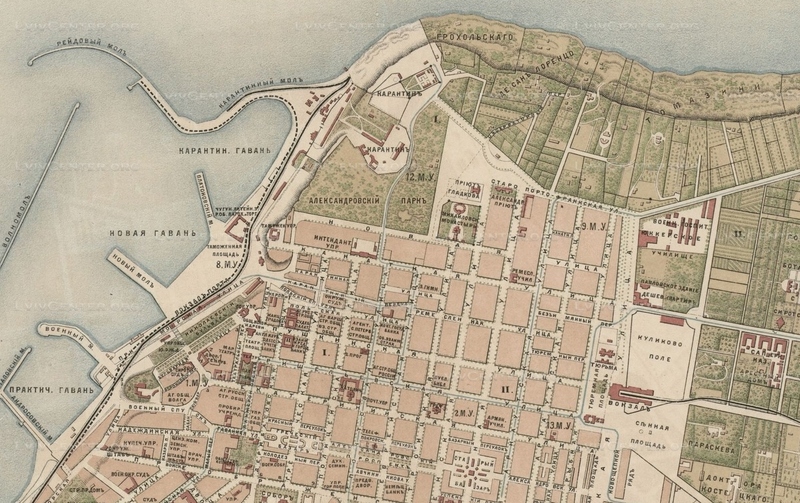 But the incident with Chaim Weitzman occurred at Malaya Arnautskaya and Belinskaya streets, which is at the beginning of Malaya Arnautskaya towards the sea and the French Boulevard. 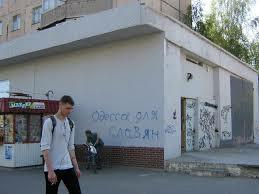 The street is called Belinskaya, although now its name is Leontovicha, apparently ignored by everyone. And it was not always Belinskaya. Until some time in the early 1900s, it was Portostarofrankskaya, Old French Port Rd. 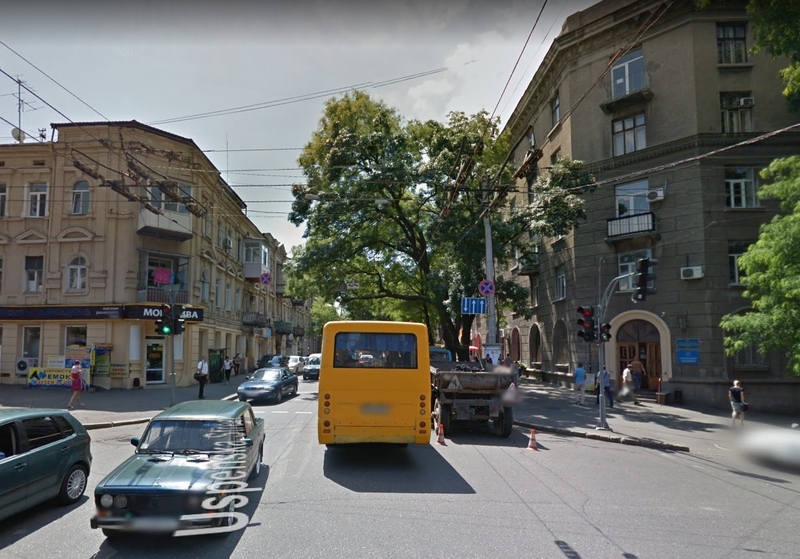 While trying to find where this mysterious non-existent Belinskaya Street was, I came upon one of the historical websites of Odessa streets which uses the old name ( Малая Арнаутская улица. От улицы Белинского до улицы Вячеслава Черновола (http://obodesse.at.ua/publ/malaja_arnautskaja_ulica/1-1-0-255 ), and discovered that it was not only the far end of the street near Moldavanka that was a Jewish area, but many of the houses and businesses at this end, where the street met the beginning of the wealthy houses along the French Boulevard, were also owned or run by Jews. 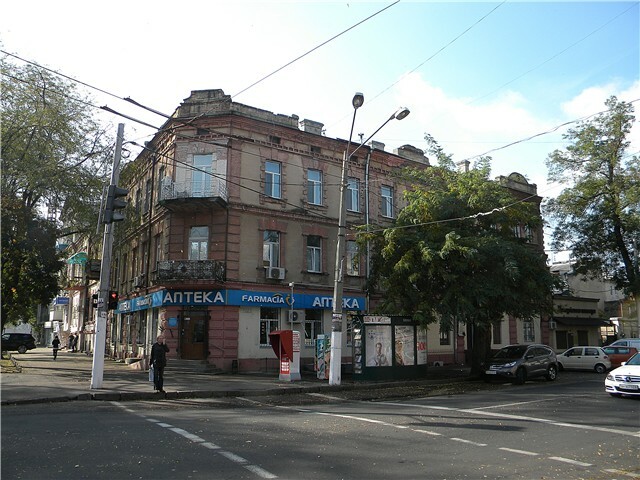 The building on the corner, Malaya Arnautskaya 1, has a pharmacy on the ground floor and according to the author of the website has been a pharmacy for over a hundred years. The house was originally owned by M Levinson, and the Shapiro brothers were pharmacists there from about 1912. 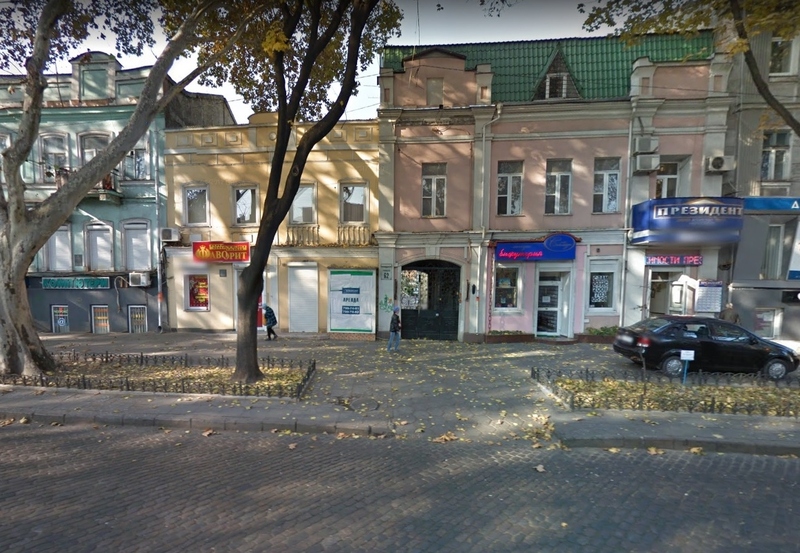 He quotes from Kataev’s memoir, A Mosaic of Life, about his visits as a young child to this pharmacy with his mother, but Kataev’s mother died when he was about six, probably around 1903-4, and his family were living on Bazarnaya Street near the corner with Portostarofrankskaya. Kataev mentions passing by their pharmacy on Bazarnaya on their way to his mother’s funeral. In his short chapter about visiting their pharmacy with his mother to pick up her migraine medicine, he mentions the frightened customers who came to collect oxygen-filled pillows and rushed back home, hoping to save someone’s life. Shortly afterwards it was his own mother who desperately needed the pillows as she was dying from pneumonia a few months after Kataev’s younger brother was born. 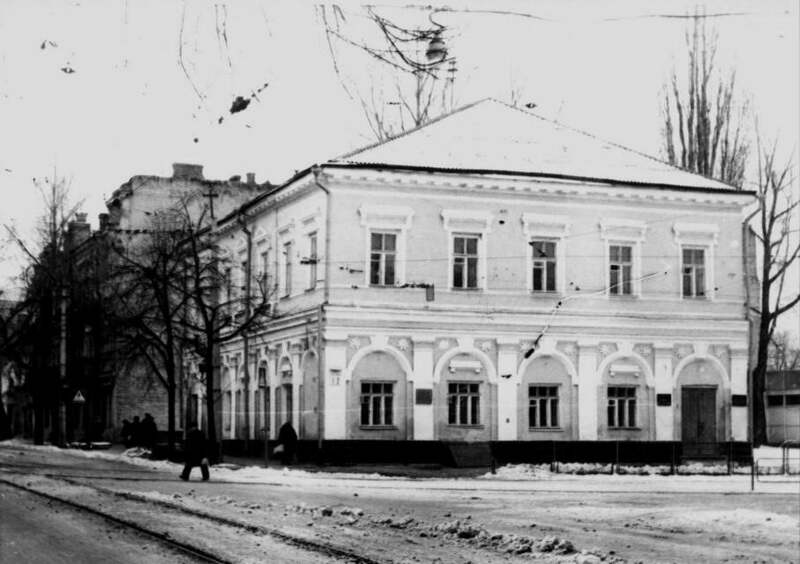 In the 1904-5 directory there are several pharmacies along the length of Bazarnaya, the first at number 26 and another on the corner of Bazarnaya and Kanatnaya. Bazarnaya is on the 1888 map above although most of the name is missing. It is next to Boshaya Arnautskaya and runs from Portostarofrankskaya to the Old Market Square (Старый Базарь). Reading about the history of the first few houses on Malaya Arnautskaya and their Jewish owners, I began to see that the pogromists may have worked their way down the entire street and then onto the wealthier Jewish houses of the French Boulevard as had the hooligans who had passed by Kataev’s house on Kanatnaya looking on to Kulikove Pole, where he was living in 1905. I will delve further into the role of Malaya Arnautskaya in revolutionary politics and the pogrom in another post. 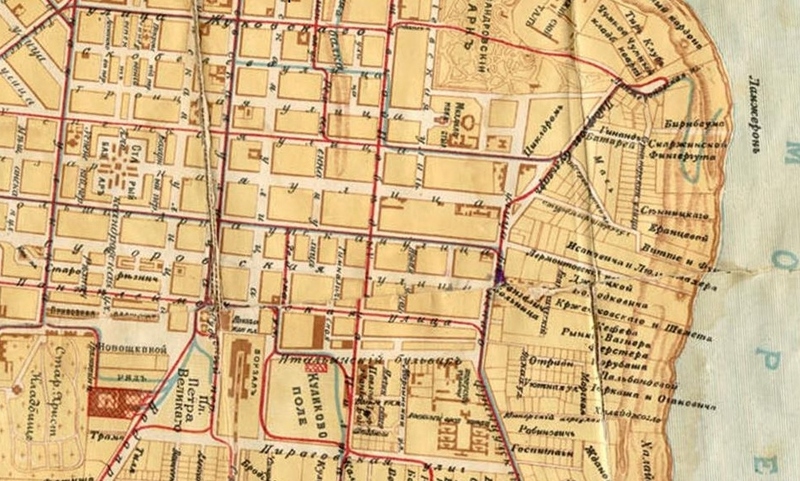 While studying a series of old maps for the missing Belinskaya Street, I noticed another symbol of the anti-Semitism around the time of the pogrom – that Evreiskaya St (Hebrew or Jewish St), a major street in the centre, had several name changes after 1905. 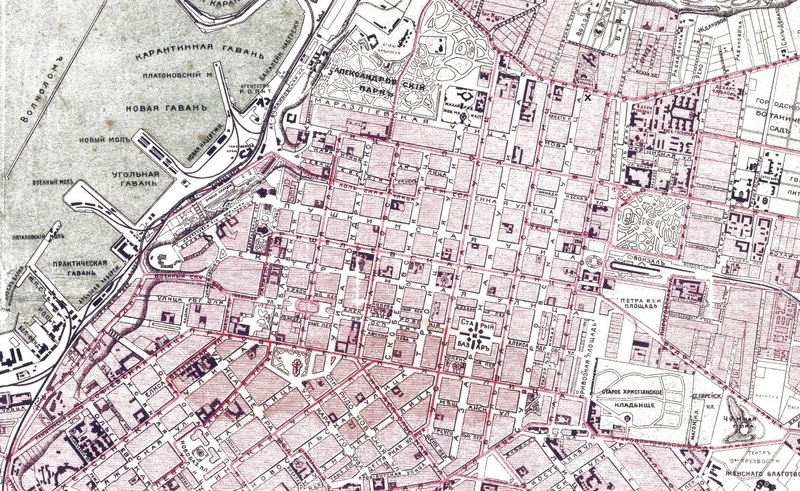 Many of the streets in the centre were named after the nationalities that originally built Odessa – there was Greek Street, French Boulevard, Jewish Street and Malaya Arnautskaya means Little Greek-Albanian Street. 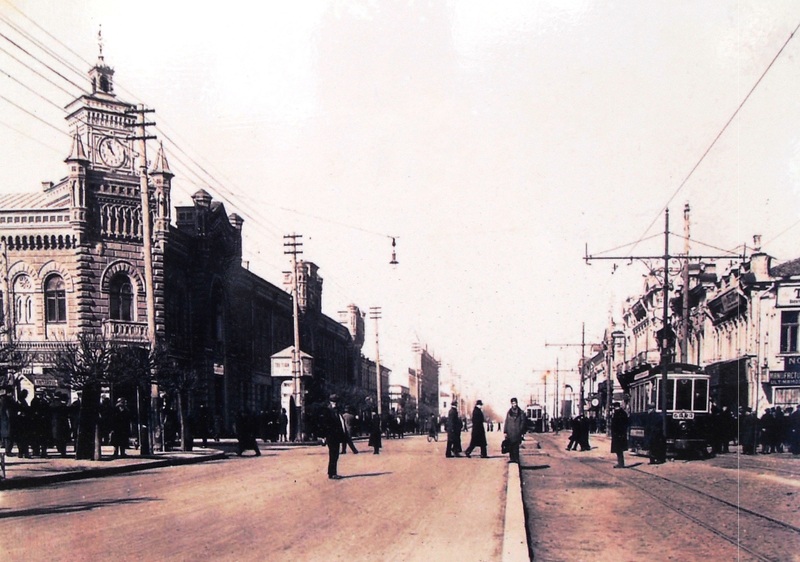 In Soviet times most of the streets were given new names but in 1908 Evreiskaya St changed and became Skobelevskoi or Skobeleva (Скобелева) after a Russian commander and general who liberated Bulgaria from the Turks. In 1920 Evreiskaya Street became Bebel Street in honour of a German Social Democrat, and during the occupation it became Mussolini Street. After the occupation it became Badaeva Street after the head of Soviet security, and finally in 1994, in a return to the past, it became Evreiskaya again. 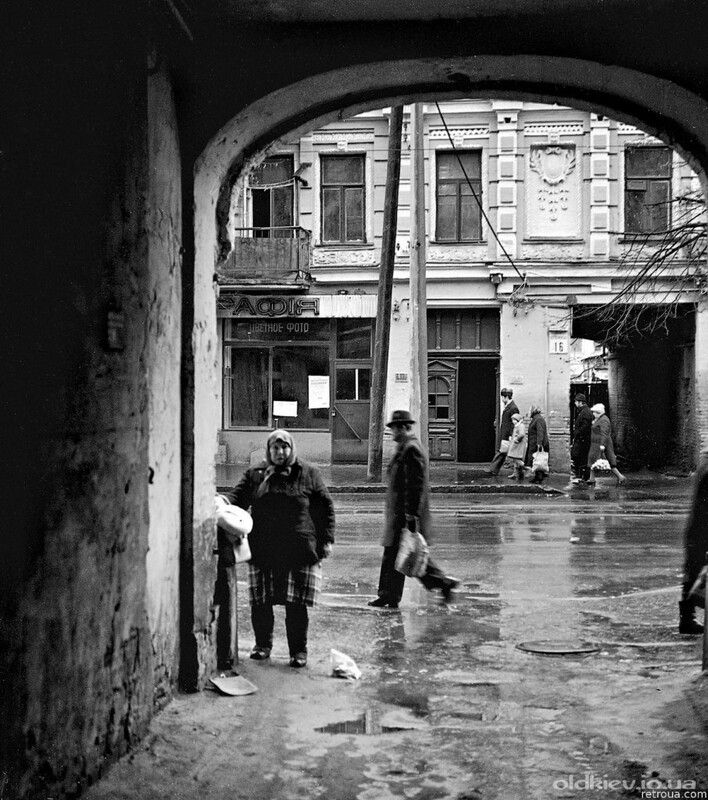 What Odessa actually feels about its Jewish history is probably another story. 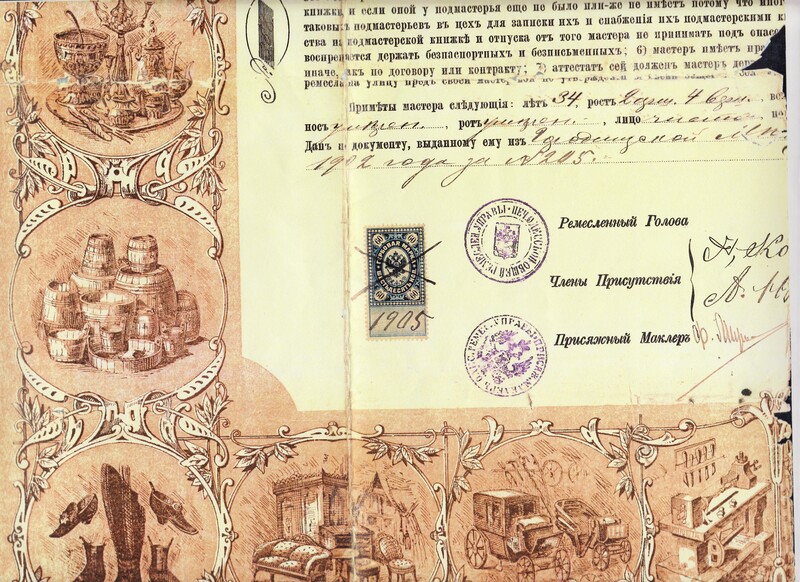 Why did my grandfather only save a Guild Certificate from Odessa, a place never mentioned by my family, and no documents from anywhere else? As my mother had once said on a tape she made about her family before she died, that she thought her father might have had a shoe factory in Kiev, I decided to turn my search to Kiev in 1902. Could my grandfather have begun working towards his Guild Certificate in Kiev and then continued in Odessa? My grandparents had originally come from Baranovichi, west of Minsk, where their first two children, Aron and Sara, were born. That the family stayed there until they went to Odessa would have been another possibility, but I have never found any online records for Baranovichi. 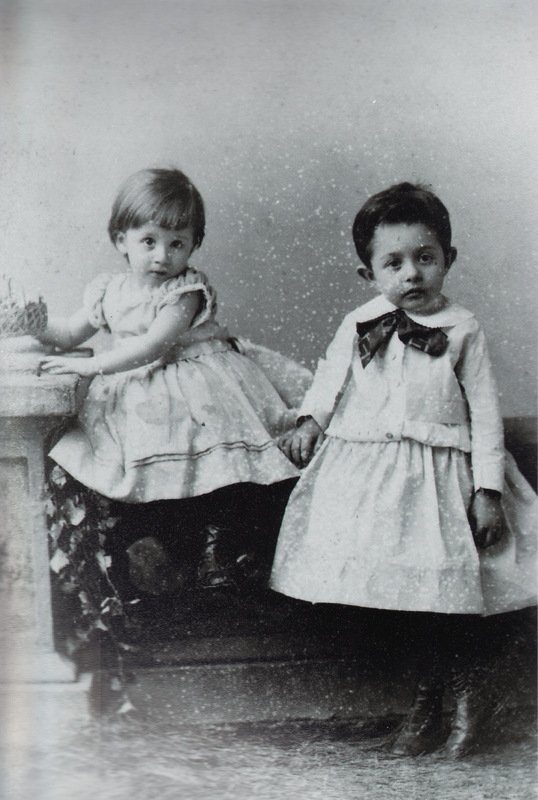 One possibility is that the next two children, the ones who may have mysteriously died in the Odessa pogrom, were born very close together before the family arrived in Odessa in late 1902. If my grandfather had wanted to end up in Odessa, why might he have started out in Kiev? Was it easier for some reason to start a machine shoe factory in Kiev than in Odessa? Did he have relations in Kiev who could help him? I needed some evidence of where my grandparents were living in order to find the birth records and names of the two missing children which might then lead me to their death certificates if they died naturally. 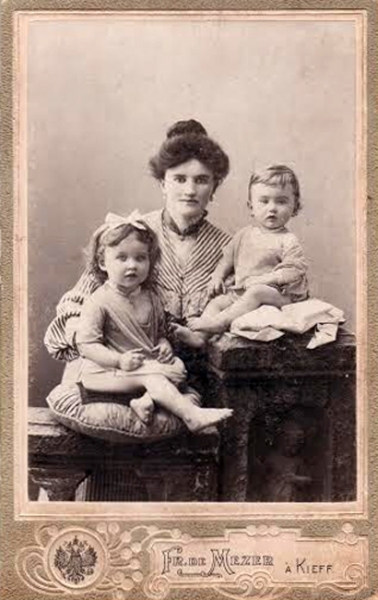 I wondered again about the photograph I have of the two eldest children possibly taken in 1902 when the daughter was about 18 months and the son nearly 4. I assume this was taken around the time the next child was born. Could it have been taken in Baranovichi or Kiev? The stone wall prop in the photograph looks like many photographs of children taken in Odessa at that time, but I have never found one with exactly the same background. Possibly it was from Kiev although there are far fewer studio portraits from turn-of-the-century Kiev online to compare. Then I looked back at the Odessa Craft Guild Certificate at the few words of handwriting written in the blanks on the half of the document which still exists. On the line above where it says ‘the year 1902’ and ‘No.205’, it says in print ‘the document issued to him from’ and then there followed a word I couldn’t decipher until now, when I realised, by checking some of the letters with a couple of words above, that it said ‘Gorodische’, the town where my grandfather and two more generations of my grandparents’ families were from. The next word is illegible as it is on the torn edge. Could it be that my grandfather originally received a craft certificate in 1902 in Gorodische (near Baranovichi) as it was his birthplace, the place he originally became a shoemaker or their home in 1902? Was the certificate then transferred to Kiev or Odessa? I scrolled through the years I wanted and found that there was a Shmuel Meer Rabinovich and Shaya Shevelevich Rabinovich who had leather shops or businesses in Kiev. 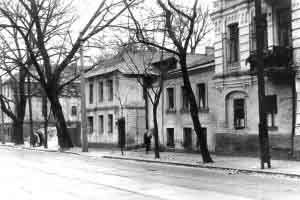 One was on the same street as Sholem Aleichem’s house, Bolshaya Vasilkovskaya, number 2, at the top of the main street Kreschatik. The other was on Aleksandrovskaya Square, at the beginning of Konstantinskaya Street, a main business and shopping street which lay between the lower town and the steep hills rising above it. 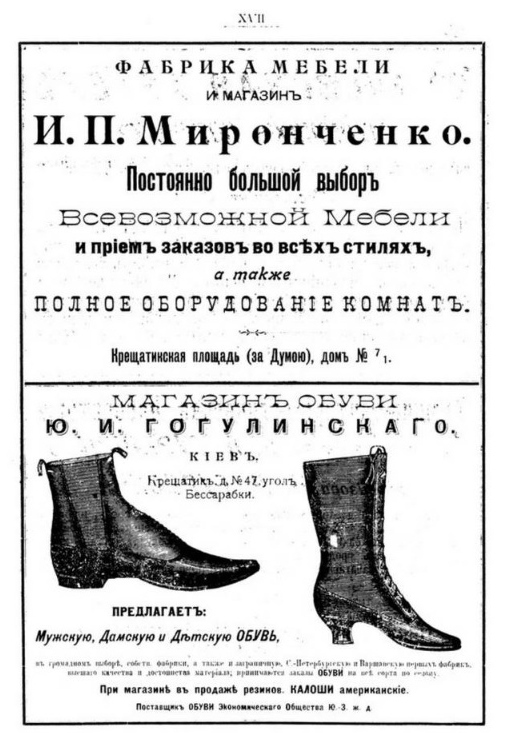 Also, only in the years 1902 and 1903, there was a Rabinovich, the only Rabinovich with no initials, who had a shoe shop. He was also in another list called ‘bootmakers’ which in later years became a list of master shoemakers. I looked at the two addresses for these businesses, Konstantinskaya 2 and Dmitrievskaya 14, and with much searching on several very comprehensive websites of old photographs of Kiev, before the city was redeveloped in the 1990s, discovered that the address of the bootmaker, probably a workshop address, was a building with several leather businesses. This address was probably very close to the leather business of Shaya Rabinovich. 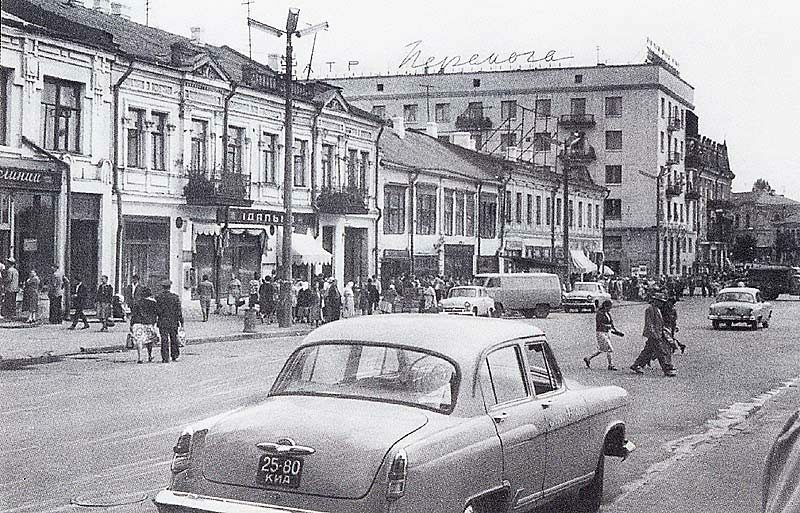 The address with the shoe shop, Dmitriskaya 14, was a long street higher up in the city which began with rows of mostly two-storey buildings with shops but further on became more residential. Some of the buildings in the first stretch of the street had several shops but 14 had only one. Could this Rabinovich be my grandfather? Normally I would not give any thought to a Rabinovich with no first initials as there were so many Rabinoviches. But this was a Rabinovich shoemaker. There were no other Rabinovich shoemakers in Kiev at that time and I had not come across any in Odessa. I had come across two wealthy Jacob Leon Rabinoviches, the exact name of my grandfather, in Odessa, so I could conclude possibly that names were less important than trade or business. It was a very long shot but somehow to find a Rabinovich who had both a shoe shop and workshop in the exact years I was looking for seemed like something that should not just be instantly ignored. If both these Rabinoviches without initials are the same shoemaker, and it seems highly unlikely there were suddenly two for the same few years, it seems very ambitious of my grandfather to start out in a new city with two businesses at some distance from each other. If he had got this far, there must have been some calamity that forced him to give up his life in Russia in 1906. Checking the directories in the years after my possible grandfather left Kiev, I found that Shmuel and Shaya Rabinovich had their leather businesses in 1905 but only Shmuel is there in 1906. He also began to have a shoe business in a large permanent market at the lower end of the town, the Jewish area of Podol which he kept from 1906-1908. Shmuel no longer had either business after 1908 but in 1910 his son, Meer Shmuelevich Rabinovich has his previous tile stove business and is running his father’s leather business. Did my grandfather have a relation or relations in Kiev, one or both of the Rabinoviches with leather businesses, who advised him, possibly helped him, possibly sold his shoes afterwards in the market? Was the jeweller Yakhnovich also a relation? Was that why my grandfather began creating his business in Kiev rather than Odessa? There was another particularly strange coincidence in the Kiev directories, although this time the years did not match my grandparents last few years in Russia. Beginning in the 1906 directory, there was a woman feldsher, a medical assistant or midwife, Rebekka Moishe Rabinovich, the exact name of my grandmother, who worked with another feldsher at the house of a feldsher who later became a doctor, Andrevsky Descent 38, one of the steep slopes rising from the lower part of Kiev. Andrevsky Descent 38 is the last house at the top of the hill in the shadow of the Andrevsky Church which dominates the skyline. Rebekka is in the directory one more year, 1907, so if it was my grandmother there would have had to have been a mistake. Unfortunately there is no directory for 1904 and the pages for medical professionals are missing from the 1905 directory, so it is difficult to tell when this Rebekka Rabinovich began working. Previous to 1904 there do not appear to be any women feldshers listed, so it might be that women were not listed until after 1903. Later the category of feldsher included the masculine and feminine forms of the word. There has never been any mention that my grandmother had any medical training, but one of her older sisters, Anna, had studied nursing in Vienna, and a couple of her cousins were very successful pharmacists. She also very much wanted her youngest son to be a pharmacist and supposedly encouraged my mother to study medicine. The younger son had been interested in languages but studied pharmacy for a couple of years, probably dropping out at the end, and worked for a few years in a shoe shop before drowning at the age of 23. My mother studied English and German, possibly fulfilling her brother’s wish. In Natan M Meir’s Kiev, Jewish Metropolis: A History, 1859-1914 (2010), he describes an example from the records of a family moving from Odessa to Kiev in 1901 and their problems with residence permits and craft certificates, which puts my grandparents’ situation in context. As neither of my grandparents’ younger children were born in Odessa, it may be that they did not move there until 1905 and were able to get the Guild Certificate quite quickly on the basis of the workshop and shop in Kiev. I want to fantasise so far as to think that my grandmother was a feldsher, possibly working part-time while a nanny watched the children, like Sholem Aleichem’s wife who worked as a dentist, but it makes more sense that she might have been minding the shop while my grandfather ran the workshop. And then, I will imagine them, with their four children, moving everything to Odessa to set up another shop and workshop by the sea, where they could grow fruit trees and grapes. And the hunt for how and where the four children became two children continues. Before becoming involved in the story of Sara Rabinowitz and her baby son who was not registered in the 1905 Odessa birth records, I had been trying to find Odessa orphans travelling from Hamburg to New York in 1905 or 1906 as I saw a reference to a file of 1906 pogrom orphans in the Hamburg ship’s manifests. I was not particularly concerned about whether their family names were in the pogrom death records, as I think there were many more unrecorded names of people who were killed during the pogrom or died shortly afterwards from their injuries. I found several orphans travelling with another family, travelling with an older child to relations in America, and one sponsored by the New York Industrial Removal Office, but I could not find records for any of them after their arrival, often because the spelling was difficult to decipher. Then I came upon nearly a whole page of orphans on a ship’s manifest, the SS Amerika travelling from Hamburg, arriving in New York 25 August 1906, all sponsored by the New York Industrial Removal Office. One family of five children, from ages 15 to 6 were from Odessa. Unfortunately the name was long and fairly indecipherable, and it is transcribed as Nachwan… on the manifest. The children were listed on the manifest as: Simon 15 Kishinev, Isaac 13 Odessa, Esther 11 Odessa, Hinde 9 Odessa, Selde 6 Odessa. I tried many combinations in my search for the family and eventually struck lucky with Nachman and thought the original name might have been Nachmanovich (Нахманович). In the 1910 census, I found a 12-year-old Sarah Nachman in Kansas City, Missouri, the adopted daughter of a well-off merchant, living with his wife, Rose, 14-year-old son, mother, sister and two servants. Sarah had emigrated from Russia in 1906. 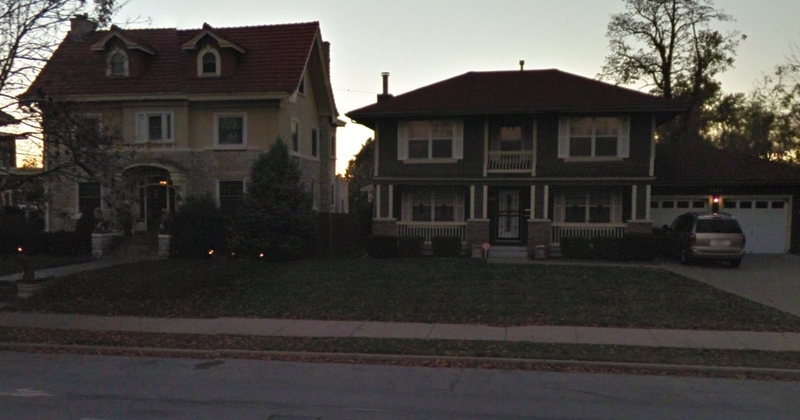 The family lived on a main street in Kansas City, now rebuilt with modern buildings on the block where they lived, but there are older houses a few blocks away. Was this Selde who was probably fostered when she arrived at the age of 6 going on 7. A young orphan girl being sent from New York to Missouri brought to mind the orphan trains of the late 1800s and early 1900s run by Christian charities. A recent novel Orphan Train by Christina Baker Kline is based on the lives of Irish Catholic children orphaned in New York and sent to the midwest where they were often used as unpaid servants or farm labourers from an early age. The highest numbers of orphans were sent to Missouri. But Jewish orphans sent to the midwest? As a six-year-old I assume Sarah was treated as the daughter of the family, not as a servant. But how much of a daughter? How much would she have been made to feel she was one of the family? I checked the New York Hebrew Orphan Asylum records to see if Sarah or any of her brothers and sisters had spent any time at the asylum but there was only a different Sarah Nachman of the same age but with other siblings during the years 1909-13. Most of those years Sarah was definitely in Missouri. I looked up the New York Industrial Removal Office and found nothing about orphans. They did look for job openings across the country for new immigrants, and placed young boys in apprenticeships at quite early ages, like the Scheindless boy who was sent to a mining town in Pennsylvania, a placement that did not last long. He ended up at the New York Hebrew Orphan Asylum, possibly because he wanted to be with his brother. 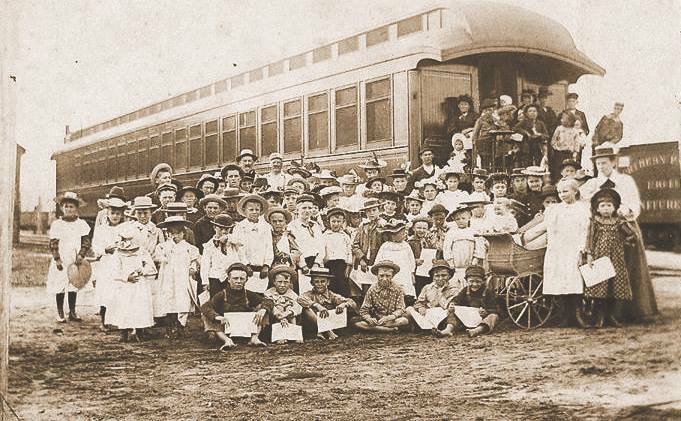 Brothers and sisters on the orphan trains were apparently most likely sent to different homes as the important thing was simply to find homes. In the New York Industrial Removal Office online record guide (http://findingaids.cjh.org//IRO5.html ) Kansas City, Missouri is mentioned for the years 1905-1907 as a destination for their travelling agents looking for employment opportunities through Jewish organisations. There is no mention of looking for homes for orphans but this may have been a secondary part of their job, especially in 1906 when pogrom orphans were being sent from Russia. I tried to find out more about the couple, Julius and Rose, who had only had one child and had decided to take on a Russian orphan girl from the pogrom in Odessa. In 1900 Julius and Rose, both from New York, were already living in Missouri with their little boy. The 1890 census is mostly destroyed and Julius only turns up in 1880 as a nine-year-old living in New York with his parents, Sigismund,56, and Esther, 36, and three siblings, Naomi, Abraham and Hannah, obviously a Jewish family. His father is listed as English, a doctor and disabled, and he died the next year. Sigismund is on one census in England, the 1860 census, a widow and merchant living with two unmarried sisters and a servant. He remarried in America in 1863 to Esther Hanff. On the 1870 census he is listed as a clerk in a clothing store, married with two children. On his 1875 naturalisation form he states his profession as physician. Had he trained in medicine in the 1870s or was he practising as an alternative doctor of some kind? A chiropractor or homeopath? It is impossible to find out how Esther managed after her husband died without the 1890 census. She does not turn up again in the records except as the mother of Naomi who married in 1893 and Hannah who married in 1899. Julius did very well for himself in Missouri, later moved to Chicago and then went into business with his journalist son in Florida, buying a newspaper. His son, Herbert, had started out as a reporter in Missouri, then moved to a job as a journalist in New York where he was living with his wife and son in 1920, and then in 1930 he was living in Florida. Before looking up the Davidson family, I searched for the other Nachman siblings and soon found her two brothers in Missouri, Simon who had become Samuel, and Isaac who had become Henry. Henry, at 13, was fostered by the Kessel family. Paul Kessel was German and worked in wholesale millinery and lived in the same general area as the Davidson family. By 1910, Henry was a lodger in a house even nearer to his sister and working as a clerk in a millinery shop so must have learned the trade from his foster father. In 1920, at 27, he was again living with the Kessels and their two teenage children, and managing a millinery shop. In 1917, on his WW 1 registration, he was also living with the Kessels, was in the National Guard, and said he was born in Kishinev, like his older brother. At some point in the 1920s Henry went to New York, and by 1940 he was living on West 86th Street, with a wife and 11-year-old son, working as a millinery buyer. He puts his place of birth as Germany, the country of his foster father, so he may have felt accepted by this family or at least identified with them as he had continued with his foster father’ s business. Sarah had preceded him to New York, probably as soon as she left school, as she married in 1918 at the age of 19 in New York to Louis Schwartz, a fur operator, also 19. Sarah probably did not feel quite like a daughter to the Davidsons as she left their home at a young age for the Russian Jewish community of the Lower East Side. I never found her older sisters, Esther and Hinde, but possibly they had remained in New York and Sarah had kept in contact with them, planning to reunite. Splitting up families may have been necessary to find homes for as many of the younger children as possible, but it was always very difficult and siblings often searched for family later on if they had not been able to keep in touch. According to Louis’ WW 1 registration, in 1918, shortly after he married he was living on 4th Street near his family. He next appears on the 1940 census living in Brooklyn with Sarah and their three children. 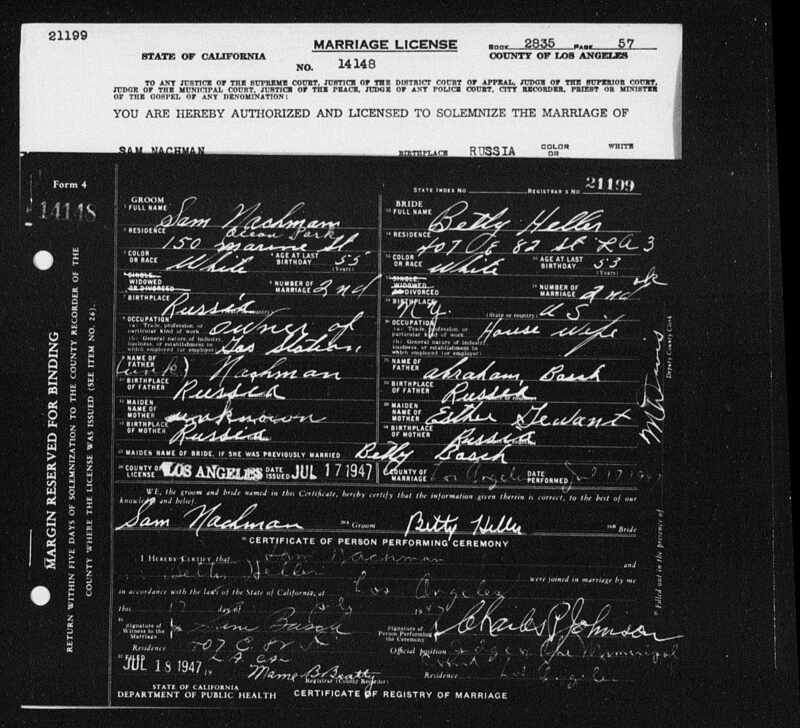 Sarah’s marriage record, with the names of her parents, Bennie Nachmanowitz and his wife Lena Schneider, made it possible to trace her family in Russia. I found the births of all of the Nachmanovich children, except Sarah, in Kishinev. 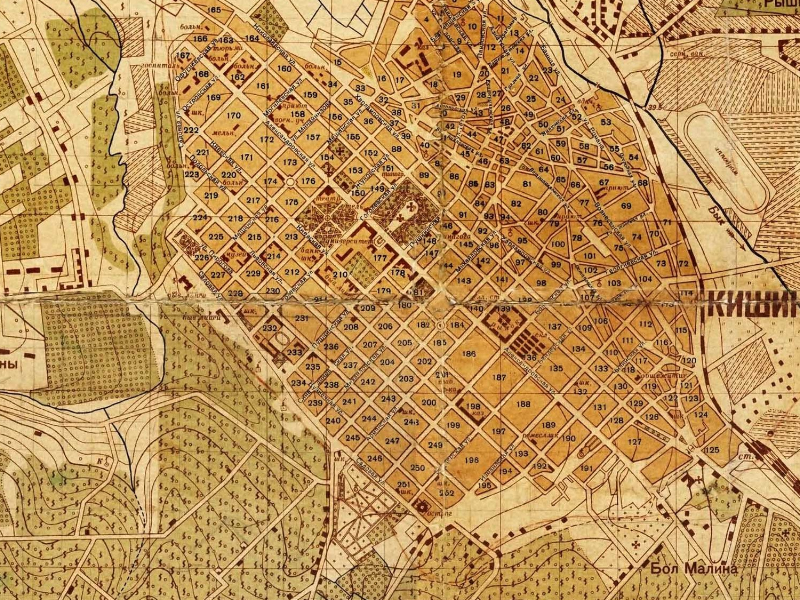 There is a Russian website about the history of Kishinev with a page of old maps and another on old street names and street signs. 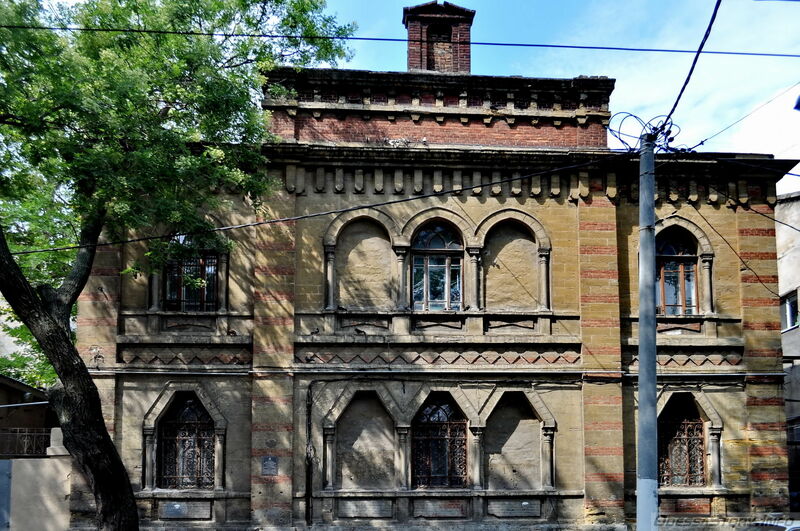 As the Nachman family was probably living in Odessa in 1905, Sara’s father’s death record in Kishinev may indicate that he had been wounded in the Odessa pogrom and returned to Kishinev to recover and died there, or possibly the record is in the Kishinev records because he was originally from there. It seems likely that the father’s death is linked to the Odessa pogrom, as the children are part of a group of orphans leaving from Hamburg sponsored by the New York Industrial Removal Office. Somehow the stories, like that of the Feld and Stitelman families, who possibly fled from a pogrom in their hometown to the Odessa pogrom, seem sadder, seem double the horror, and remind me of the famous tale of death in Samarkand. In 1932, Sam’s daughter, Mabel, married a radio technician in a Baptist Church in Los Angeles. Sam’s birthplace is listed as Petrograd and Mabel’s mother is Stella Perryman. In 1938, Evelyn died, age 39, in California. On the 1940 census, Sam is a widower and lodger with a young couple in Los Angeles, working as a salesman. His older son, Lawrence, a mechanic of 26, is living with his mother and stepfather, Stella and Floyd Perryman, in Los Angeles in 1940. It says on the census that in 1935 Lawrence was living in Kansas City. When he enlisted in the army in 1942 he was divorced with no children. It seems that his sister may have gone to California earlier than her brother, although they may have visited their mother on and off. A younger son, Sam, does not appear in the records after 1930 when he was 9. In 1942 on his WW 2 registration Sam, the father, is still living with the young couple and not employed. I could not work out who Stella and Estelle were in relation to Sam and the children. Sam’s life seems to have been the most disjointed of the Nachman children, probably because he was not fostered, did not go to school in America, possibly never learned to write in English, and probably had a difficult time when he first found himself alone in Missouri. His one aim must have been to become American, like everyone around him. 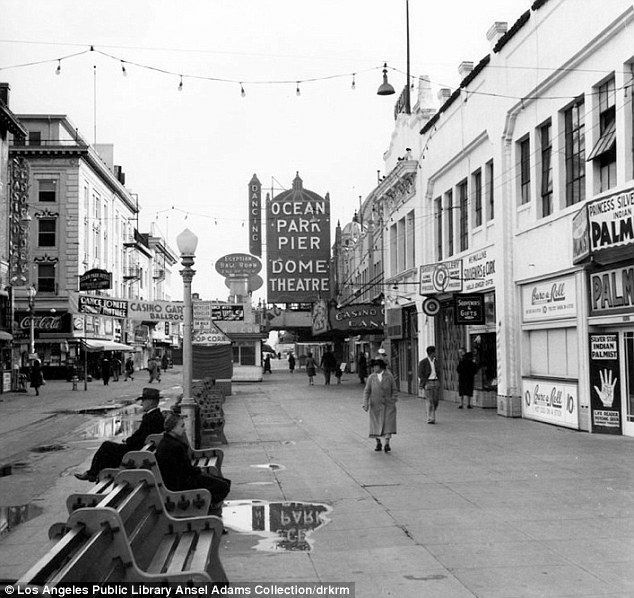 In 1947, living in Ocean Park, Santa Monica, he married a divorced woman from New York of Russian Jewish parents. 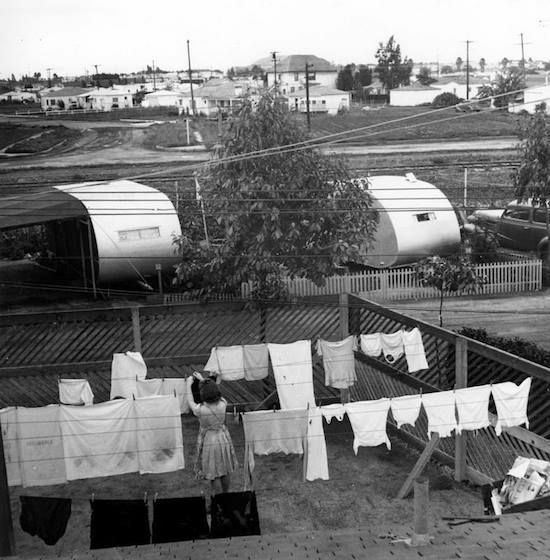 Looking to see where Ocean Park, the address on the marriage certificate, was, I discovered a 1939 series of photographs of Santa Monica by Ansel Adams, most of the large trailer park set up to accommodate the many homeless families moving west during the depression. The sign for Broadway and Fifth Avenue is a nice touch. On the certificate, Sam is the owner of a gas station and this is his second marriage. The first names of his parents are listed as ‘unknown’ even though he was 10 when his mother died and 14 when his father died. He has travelled a long way, literally and figuratively, from Odessa to Missouri to Santa Monica, and left his parents behind in Kishinev, even though he has chosen to marry someone from the same Russian Jewish background. People do what they have to do to carry on with their lives, even if it means forgetting their parents’ names. For Sarah, who probably had no memories of her mother, and few of her father, they may have remained alive in her imagination. All of the Nachman children for whom I found records found some success – they had jobs, had married and had children. Henry and Sam both named sons after themselves as if rejecting the Jewish tradition of not naming children after living relations, and following the American tradition of passing down the father’s name. Unlike the Scheindless brothers, none of the children named a child after their father. Possibly having been split up as children, even if some of them came together later, it might have been difficult to talk about the past and pass on any memories of traditions that one or the other may have remembered. Although it does not seem likely that some of the children kept in touch, like Henry in New York and Sam in California, there were similarities in the way they adapted to their new lives, possibly because they had grown up together in Kishinev and Odessa and shared certain ideas of who they were and what they hoped for in life.